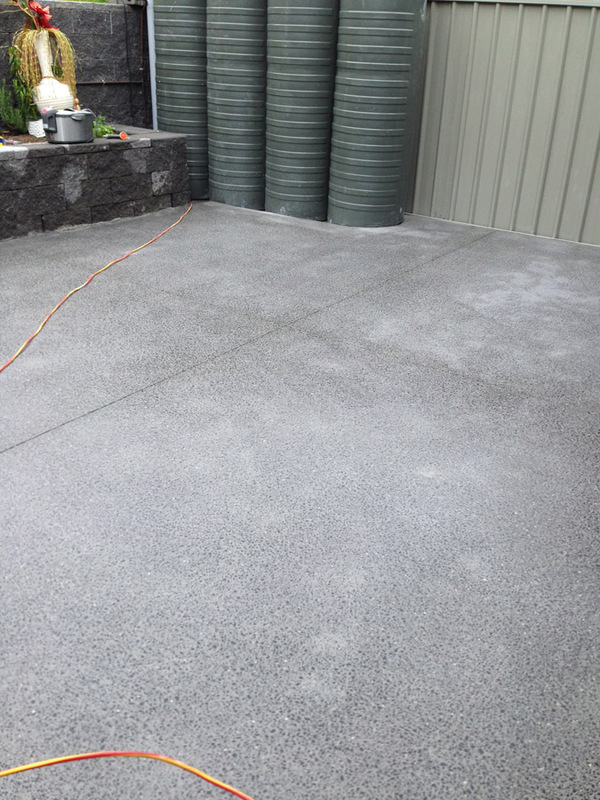 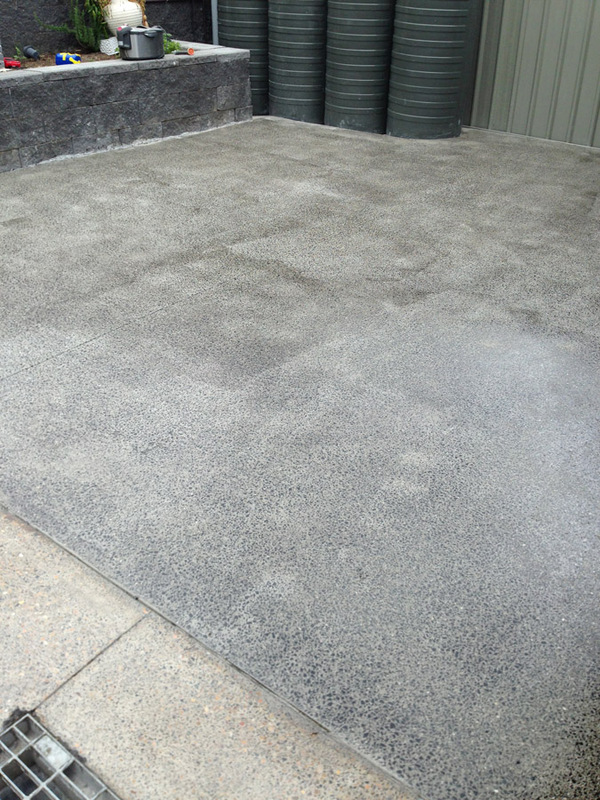 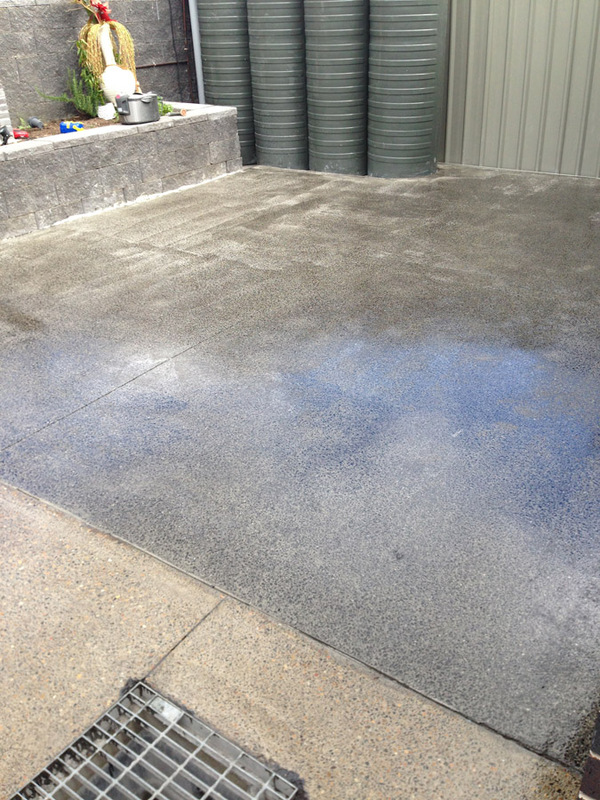 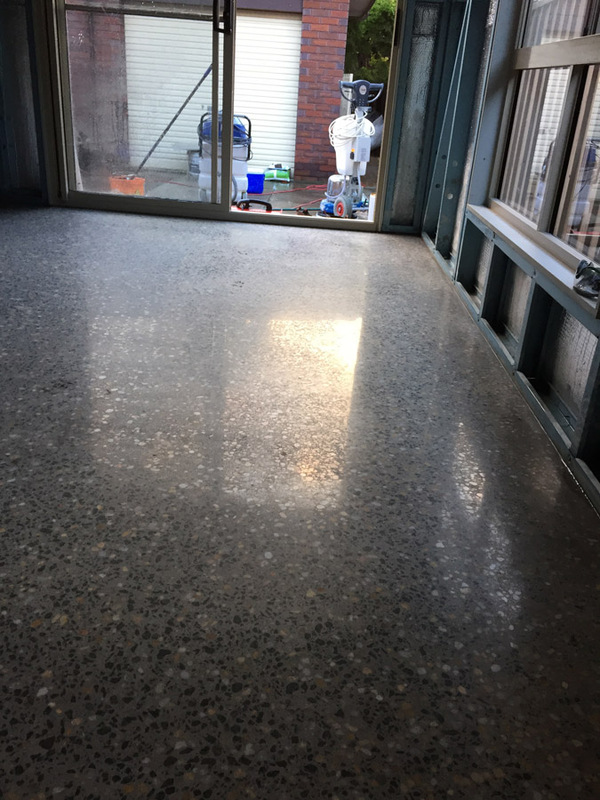 Are you a Sydney home or business owner looking for the best solution in regard to how to polish concrete floors and stone surfaces in and around your property? 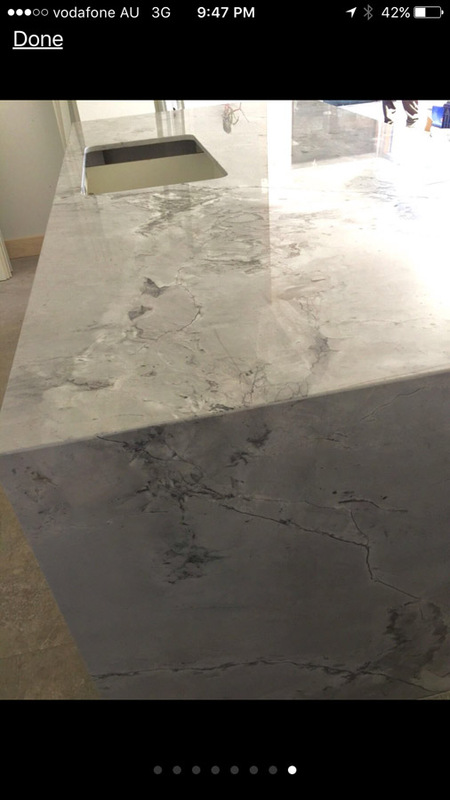 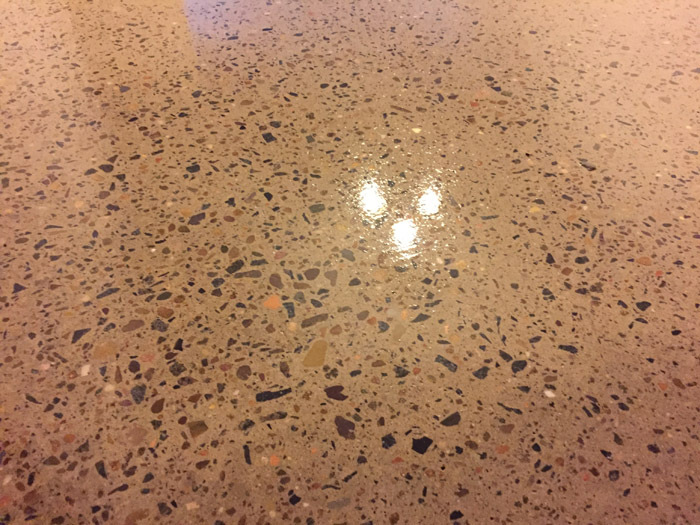 While concrete and other types of natural stone surfaces have high visual appeal, this appeal will only last if you know how to polish concrete and maintain such surfaces. 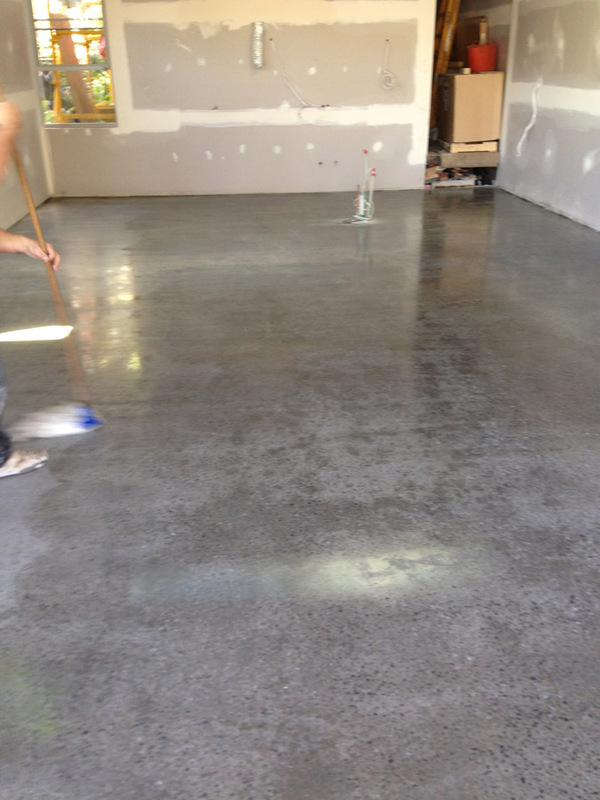 Cleaning concrete floors, for example, might adequately maintain your home or businesses visual appeal in the short term. 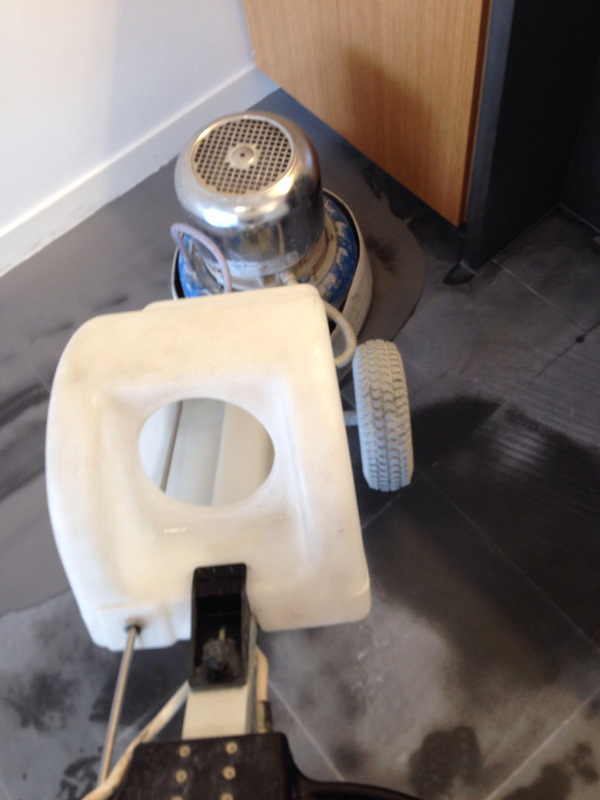 However, from time to time you will also need to use a heavy duty burnisher to maintain your stone surfaces to the highest possible aesthetic standard. 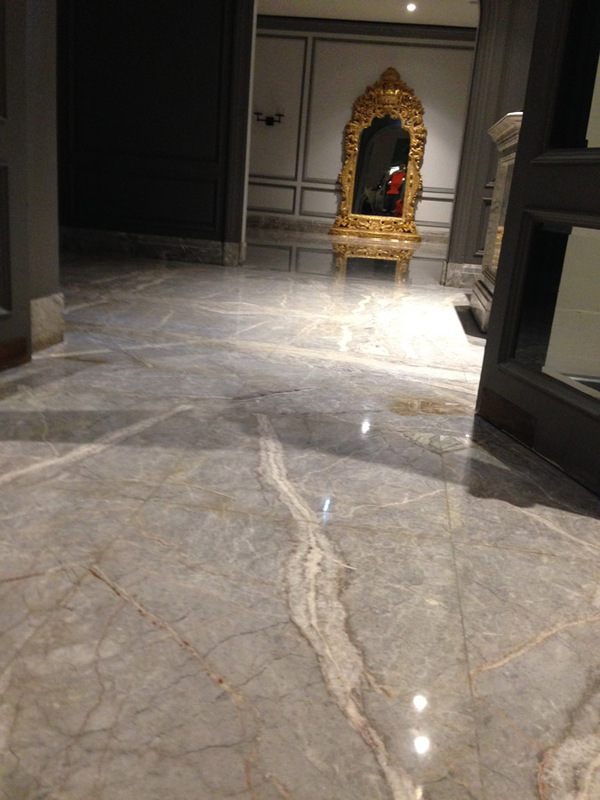 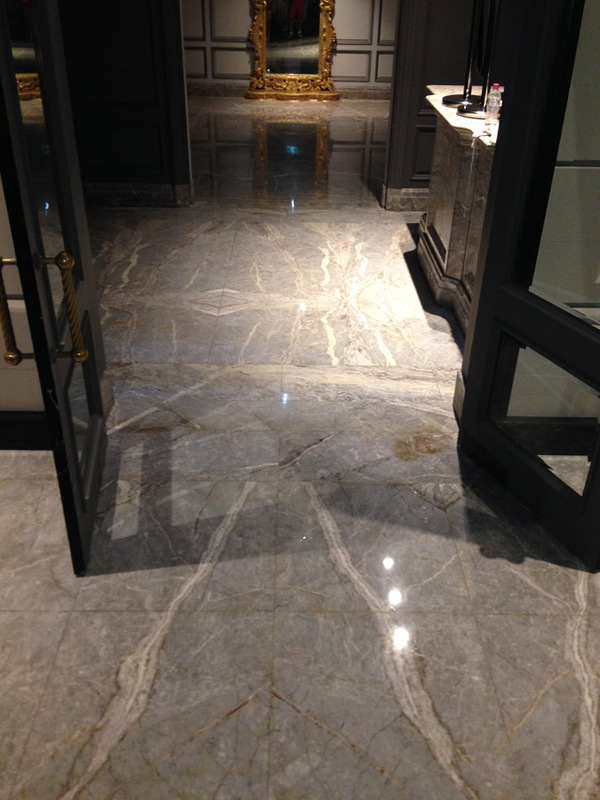 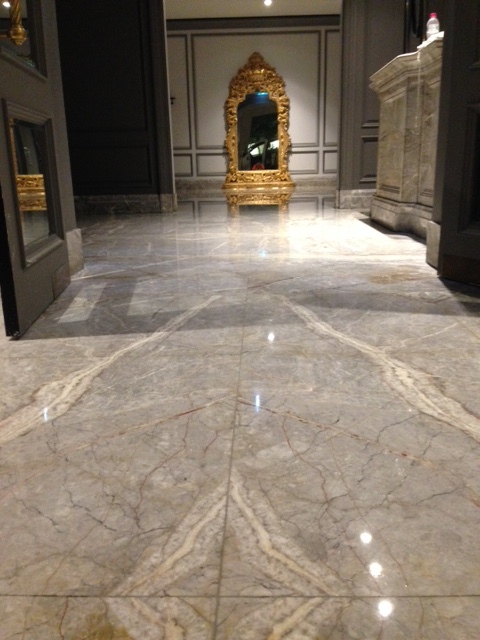 You might dream of Carrera marble in your hallway but your budget might not. 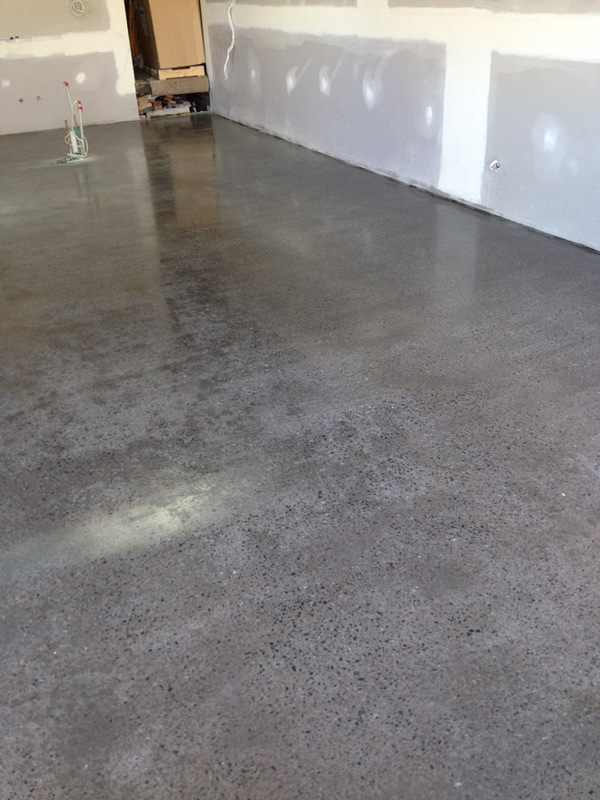 The solution could be polished concrete. 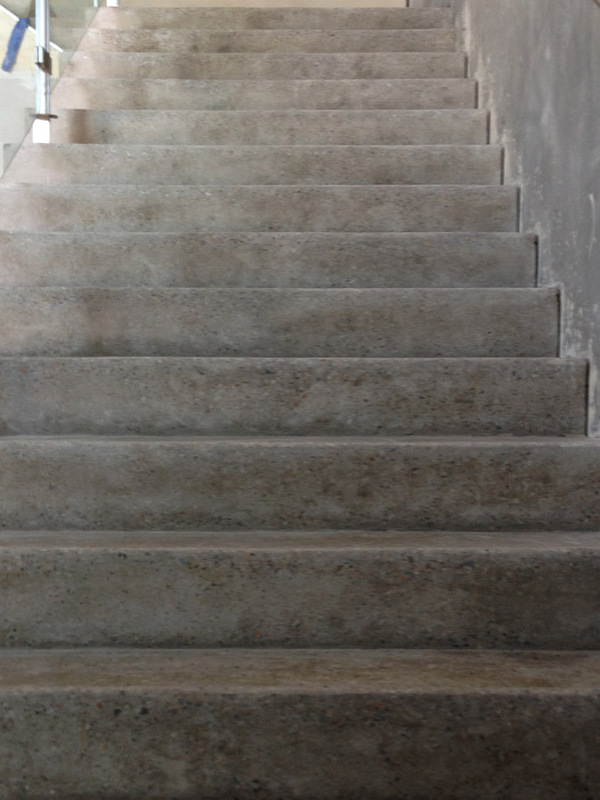 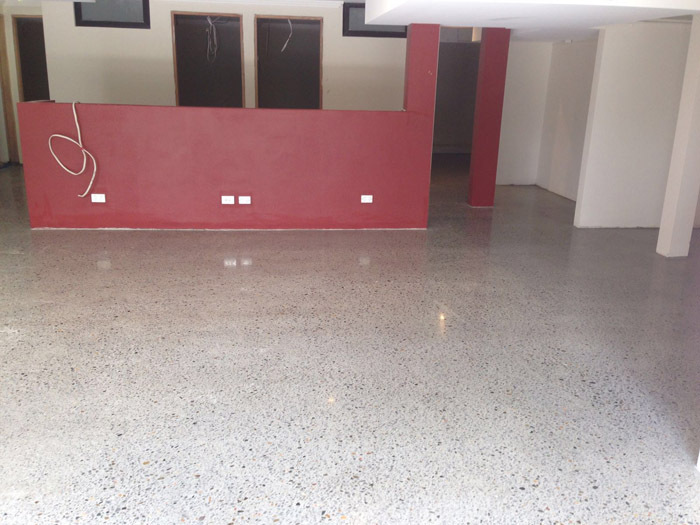 There are many great reasons why a polished concrete floor is a great design choice. 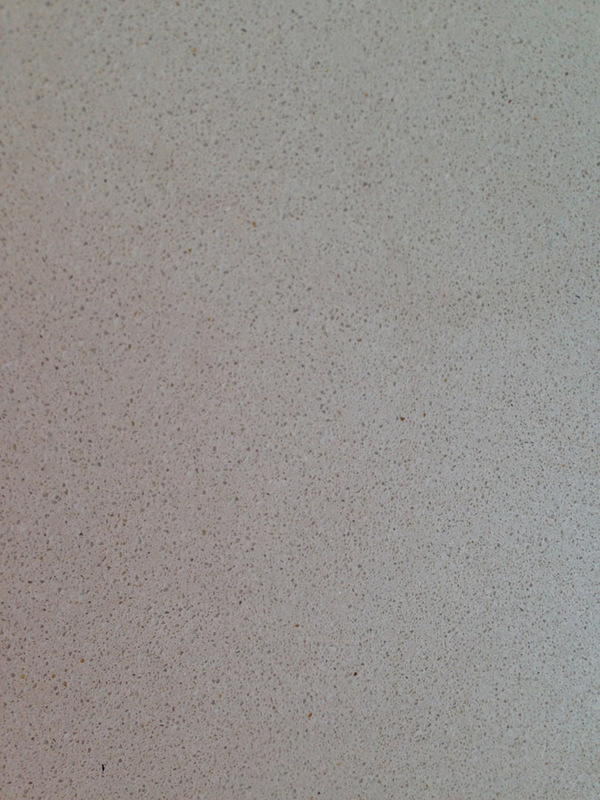 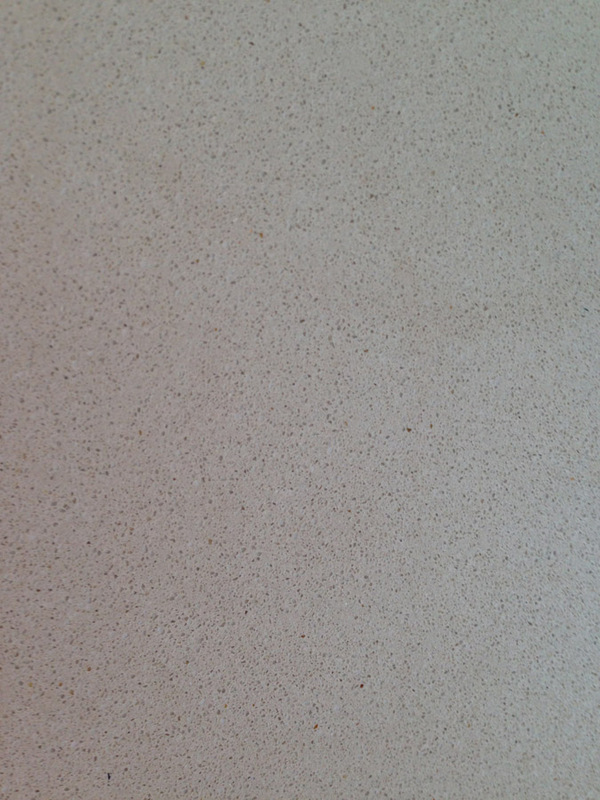 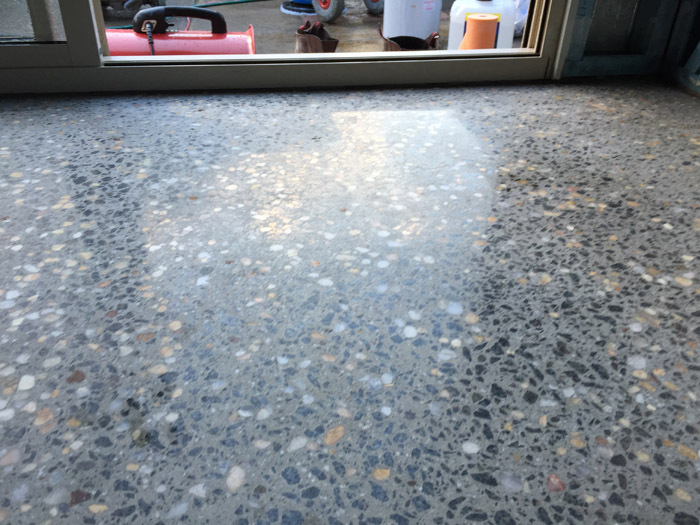 The seamless finish is easy to clean and maintain, dust free, economical and ecologically sound, it’s hardwearing, highly decorative and long lasting. 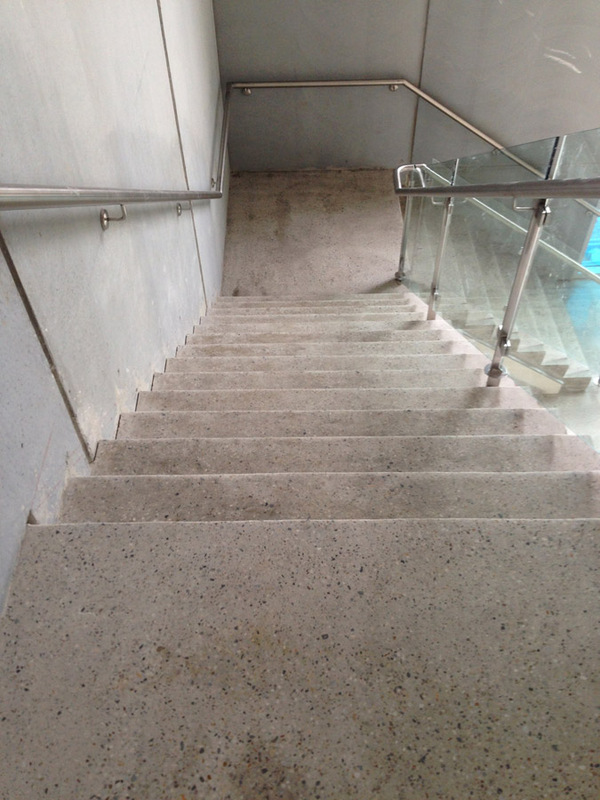 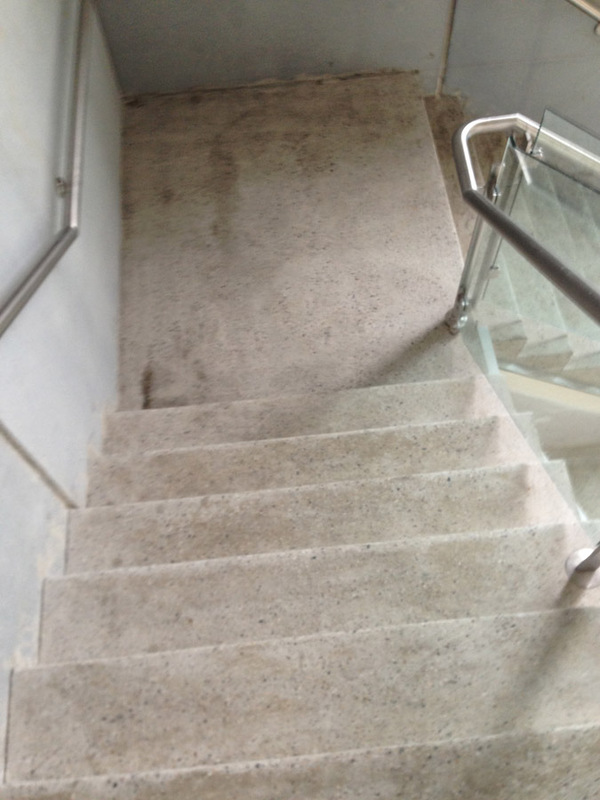 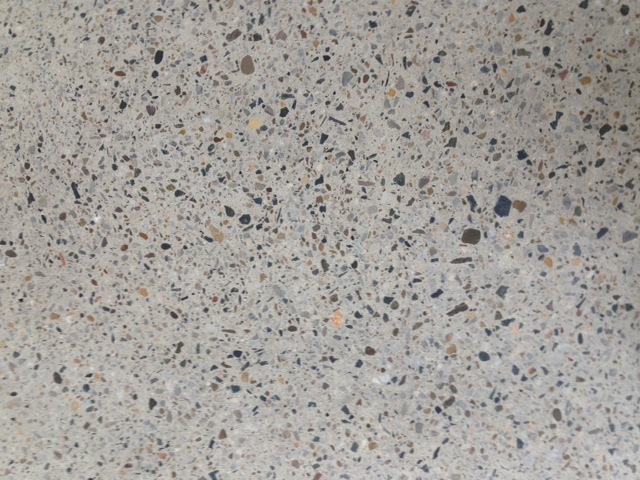 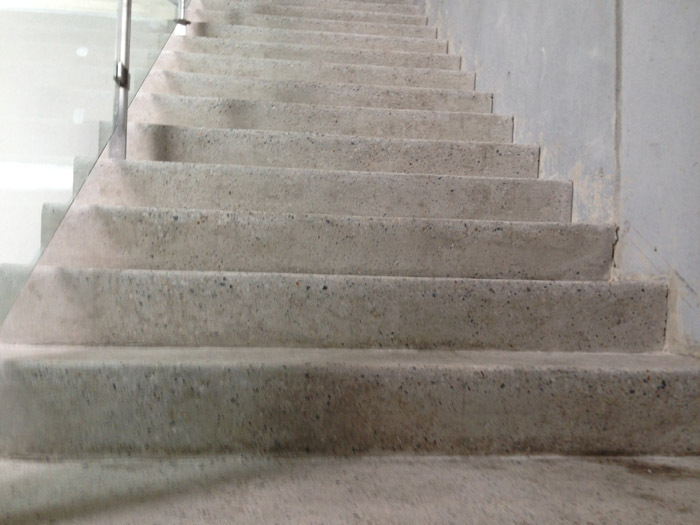 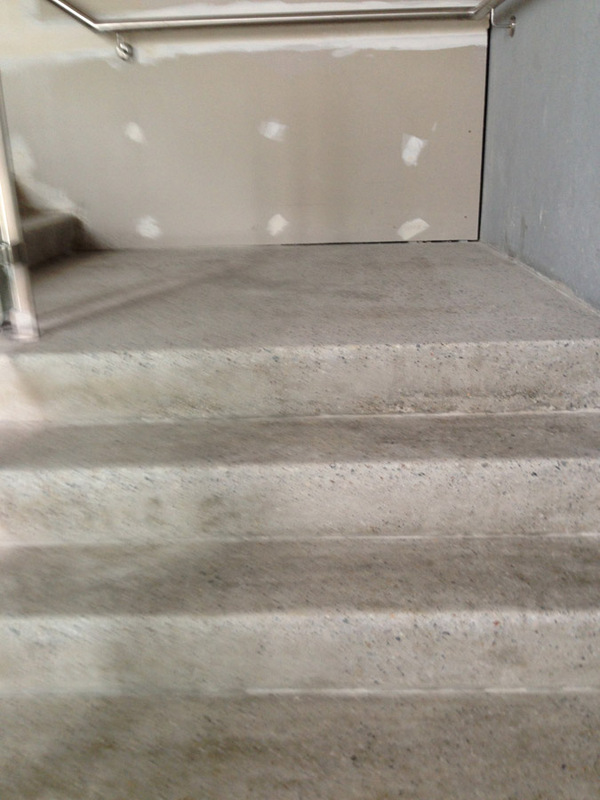 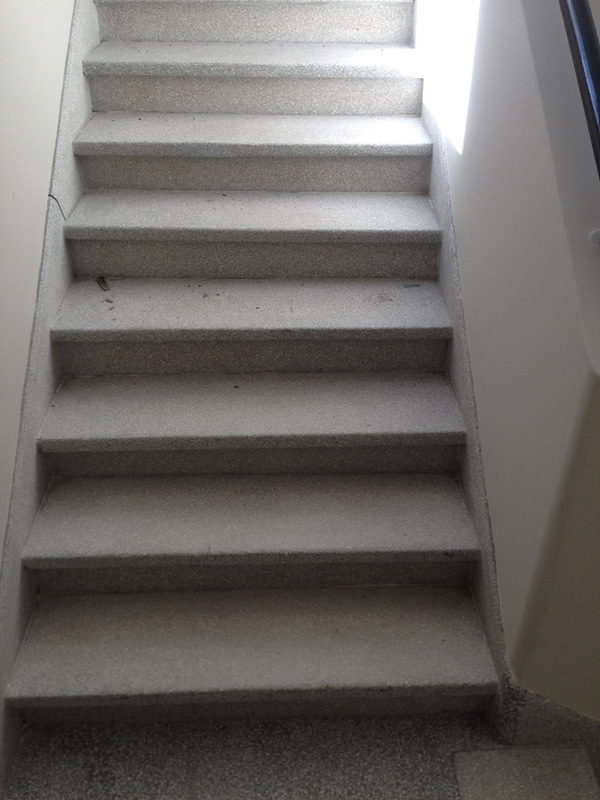 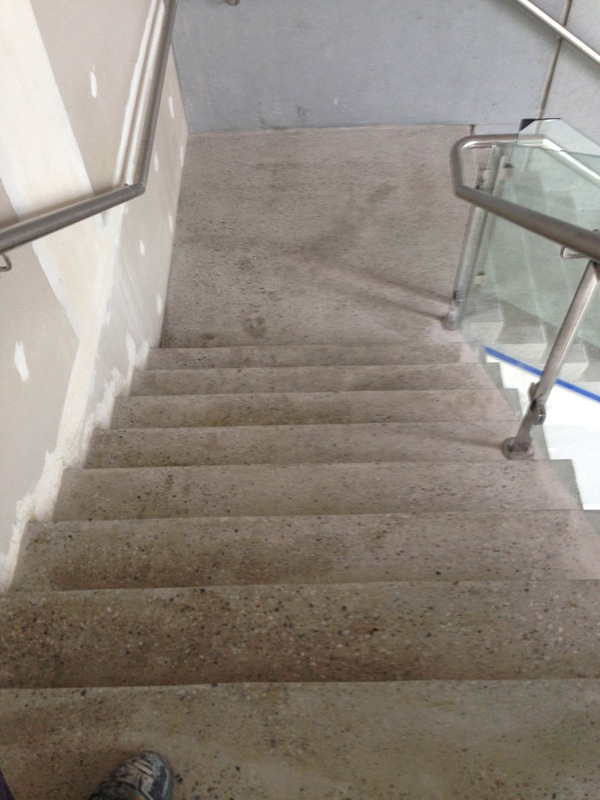 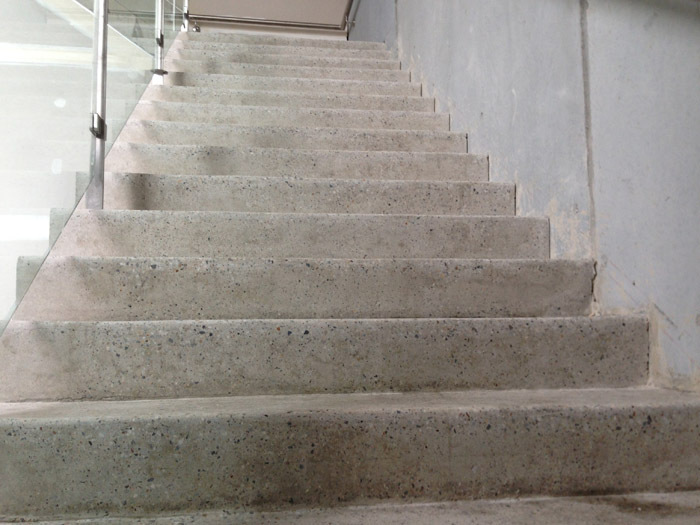 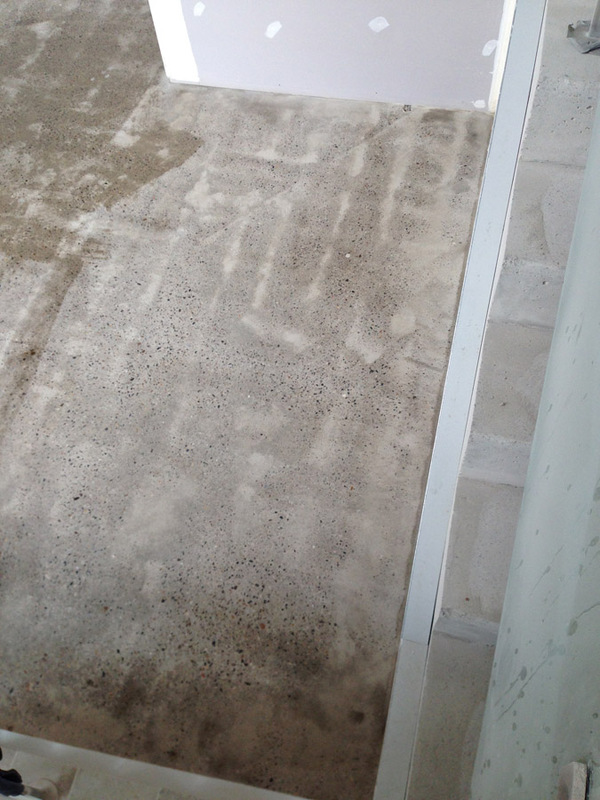 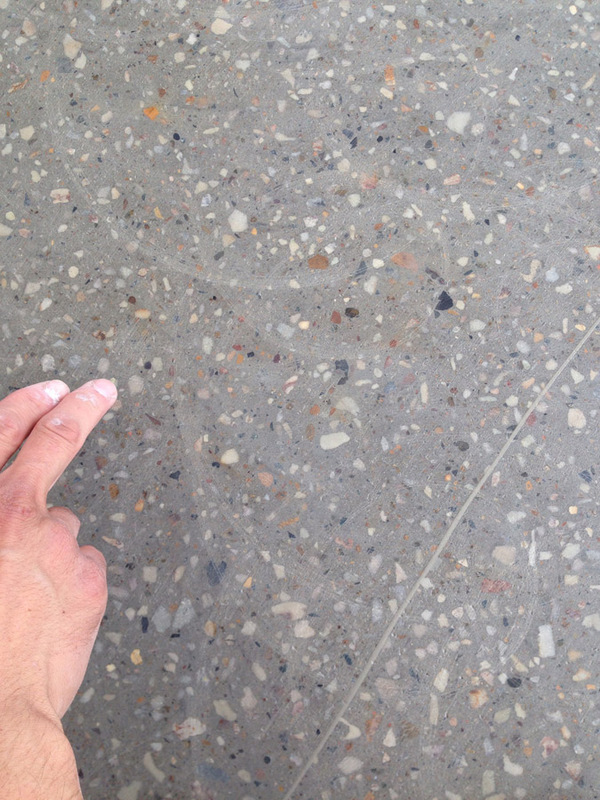 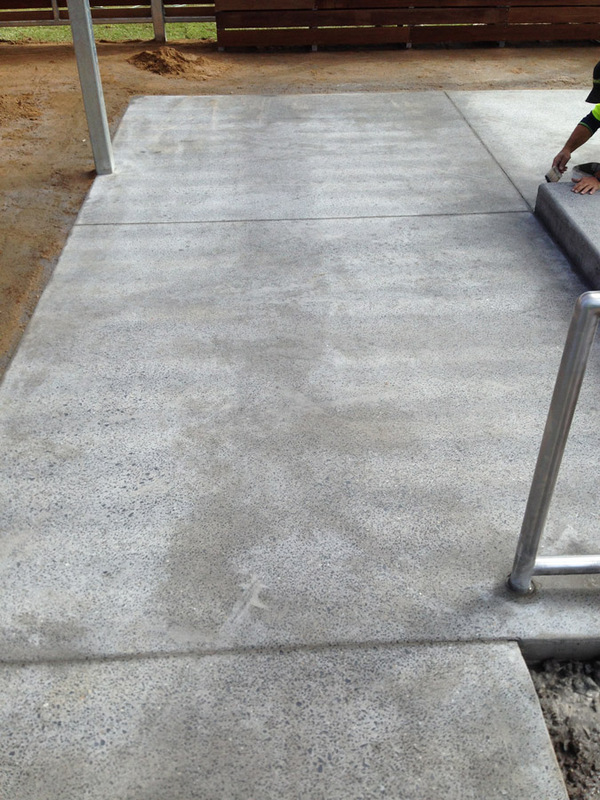 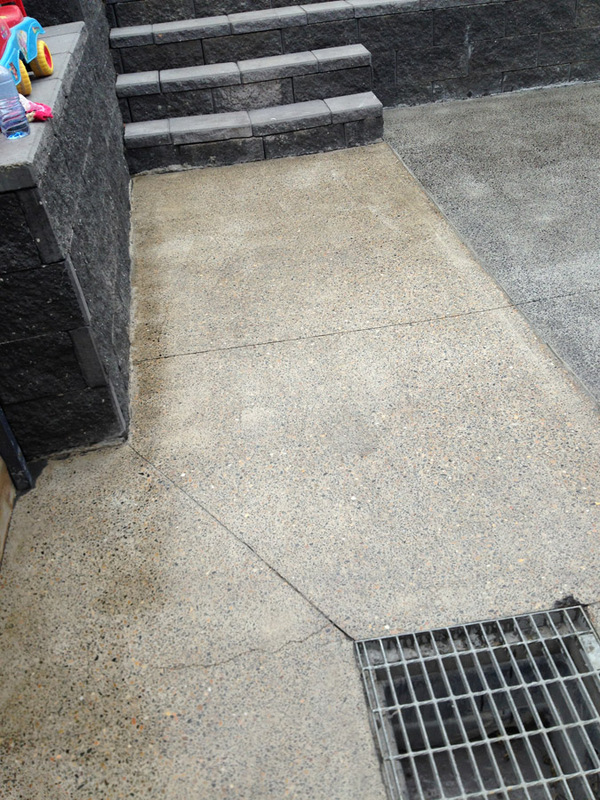 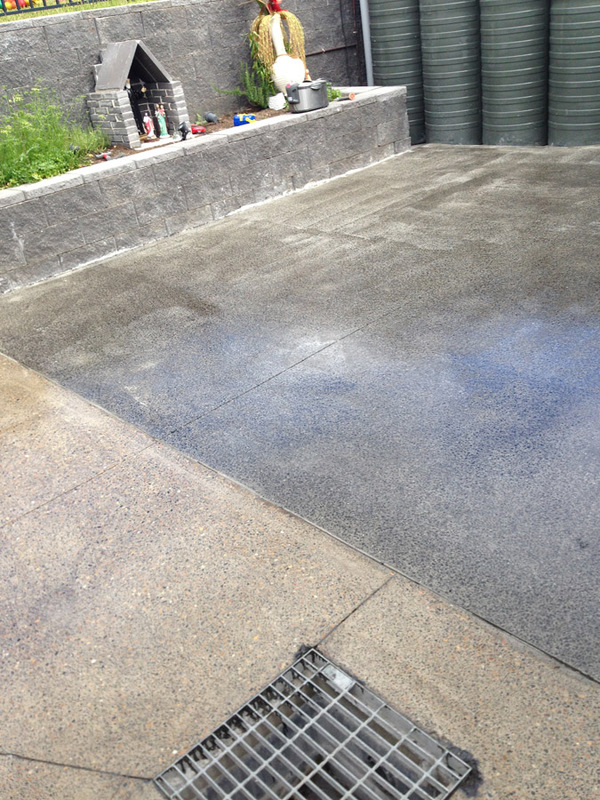 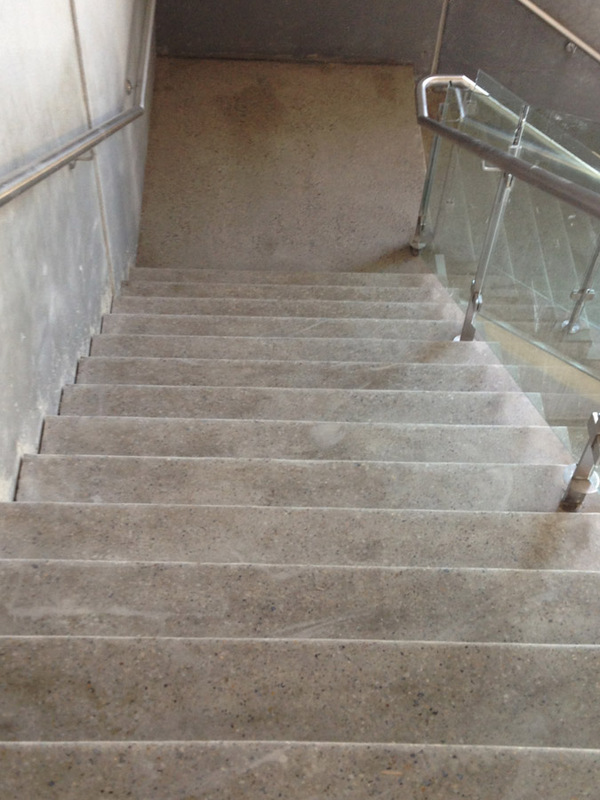 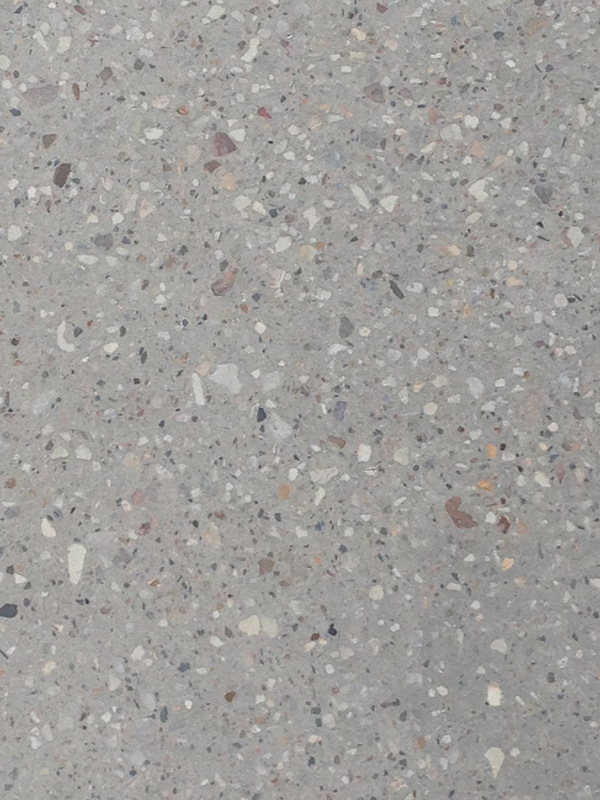 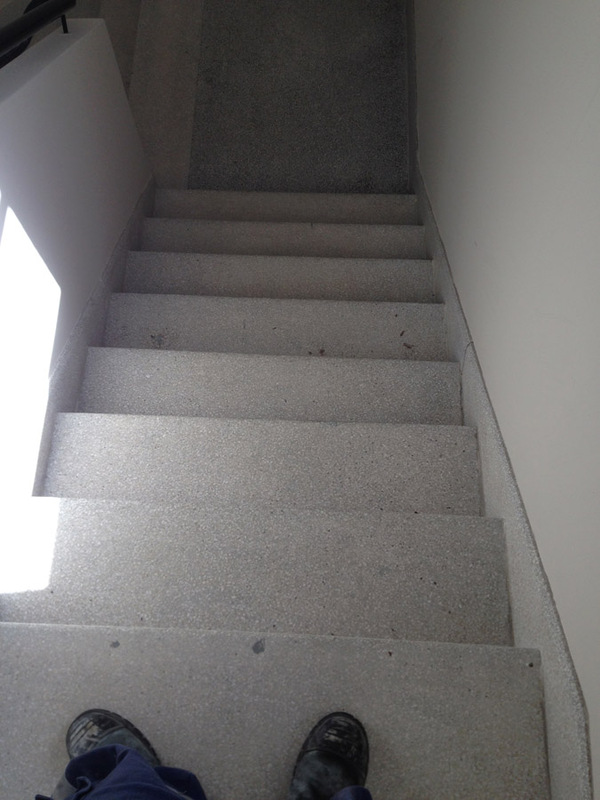 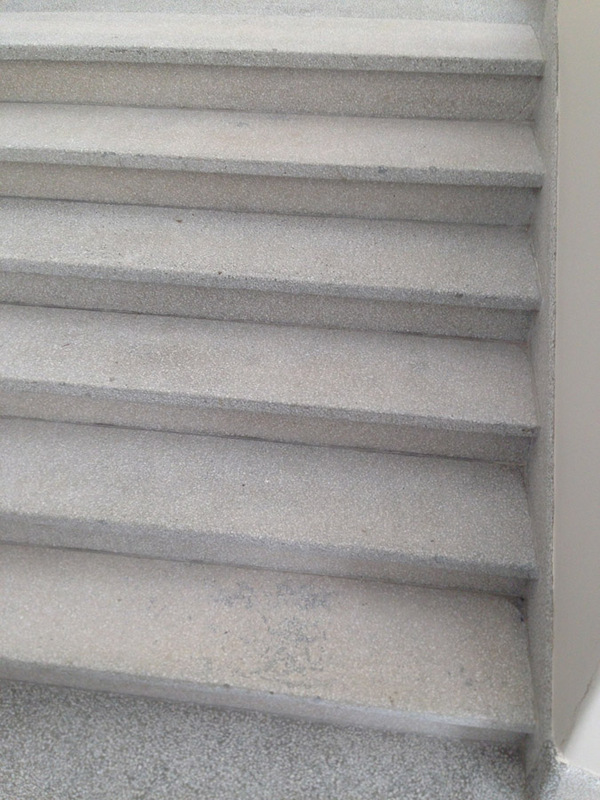 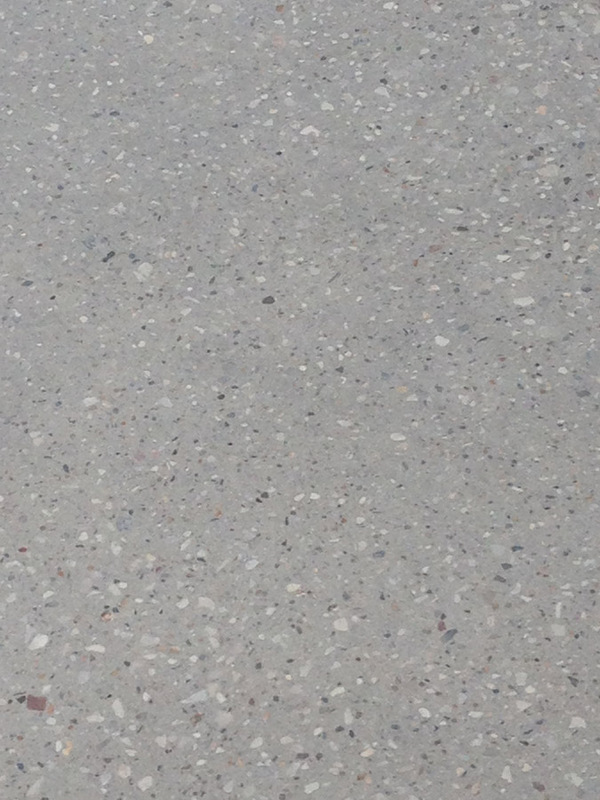 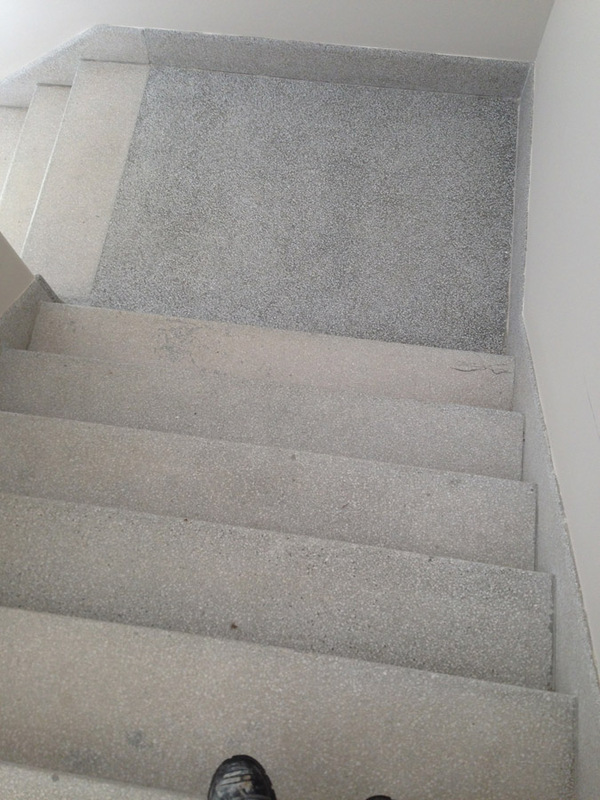 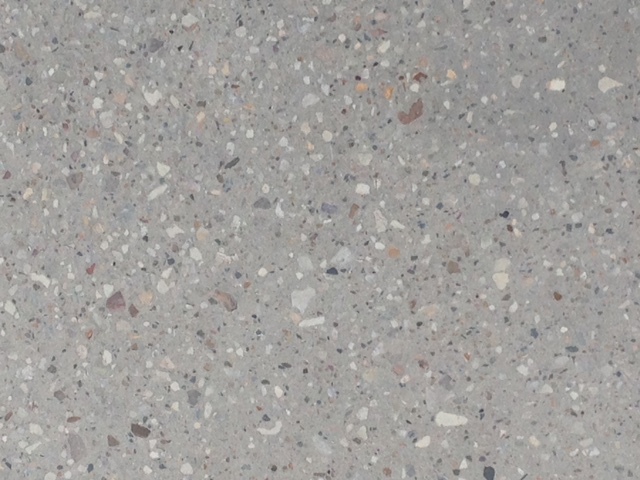 The amount of stone inside the concrete you want visible will dictate the type of grind used in the polishing process. 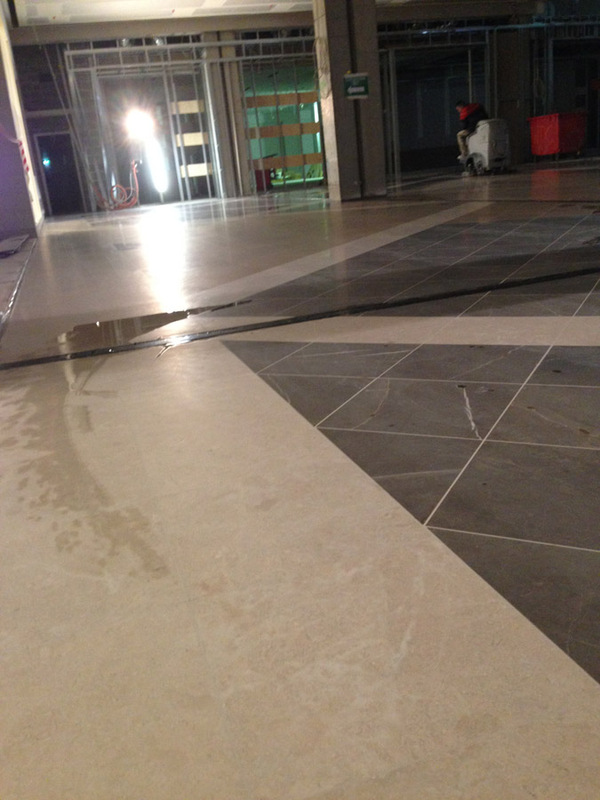 And it’s not as slippery as it looks. 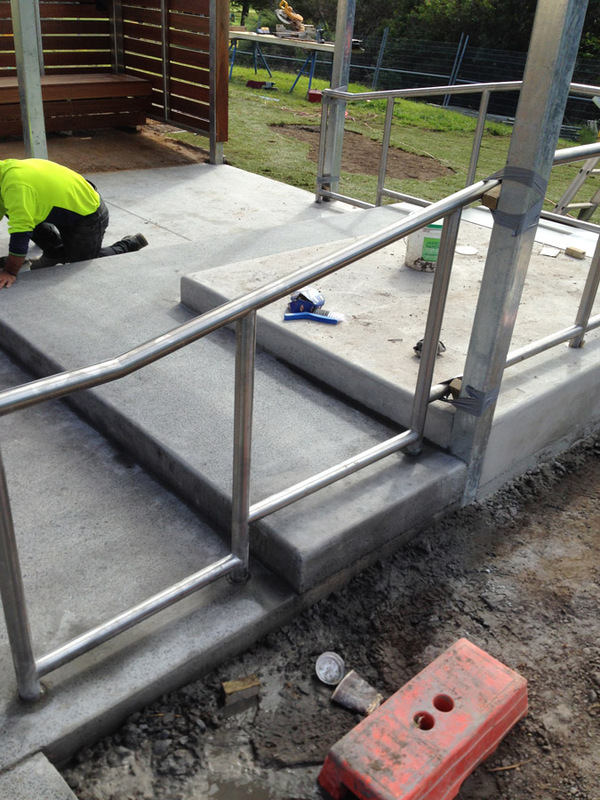 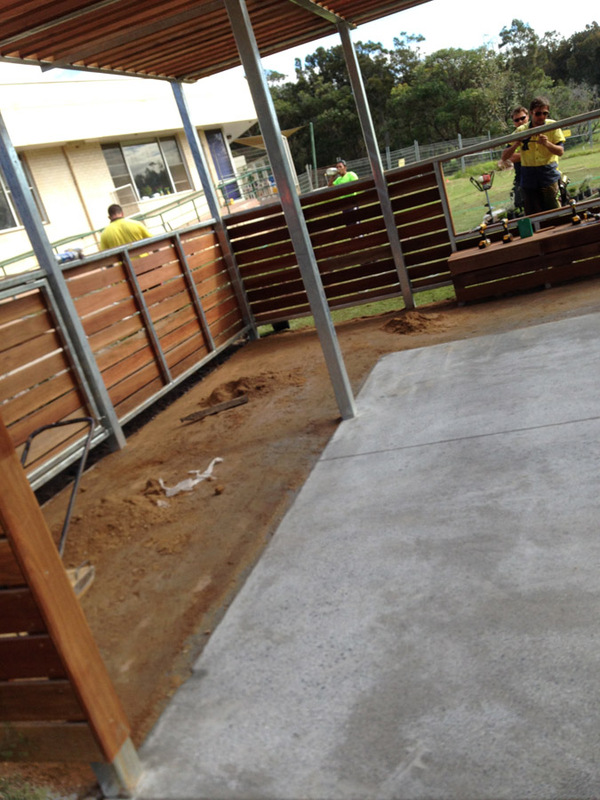 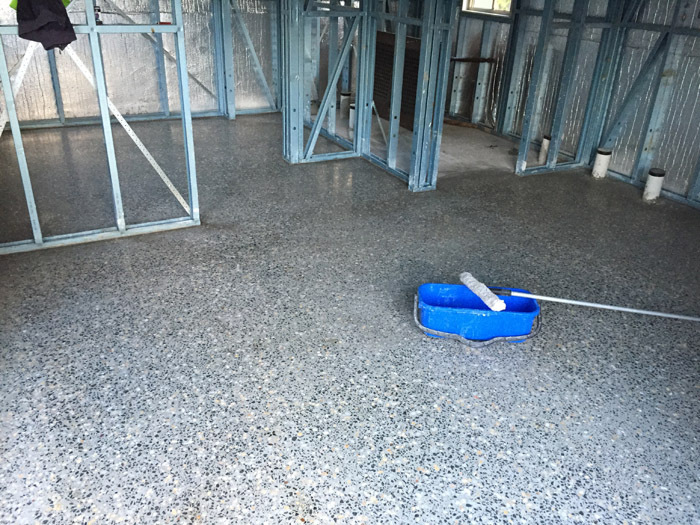 When it comes to carpentry, tiling and concrete polishing, TJN Construction Group has been providing a quick, honest and reliable service for many years to the greater Sydney metropolitan area. 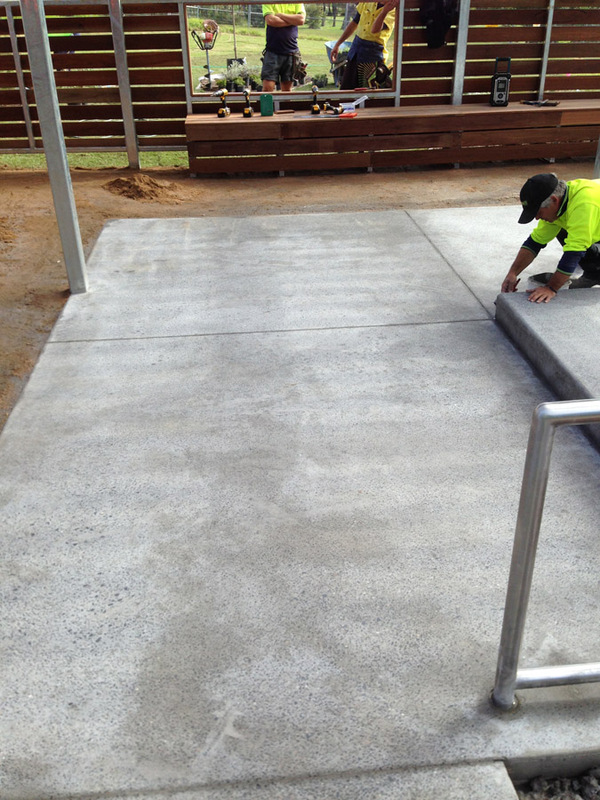 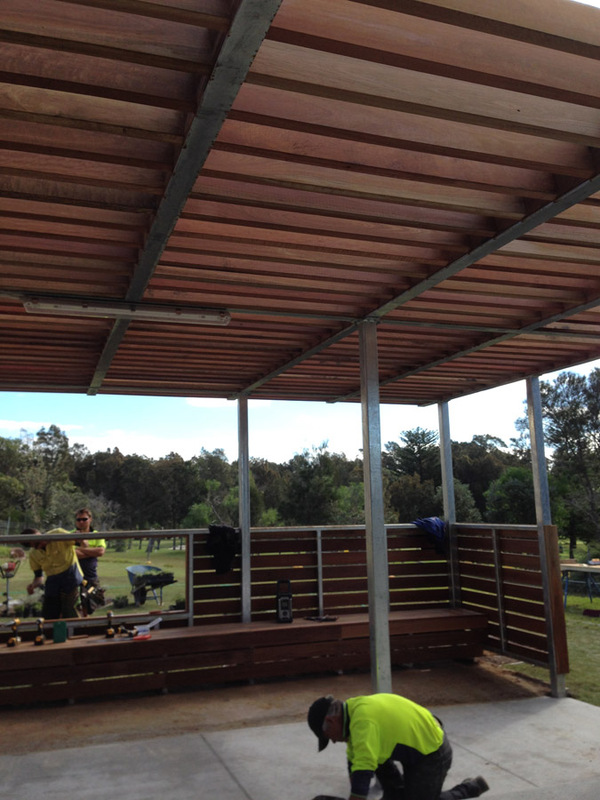 Contact us today for a free on-site quotation. 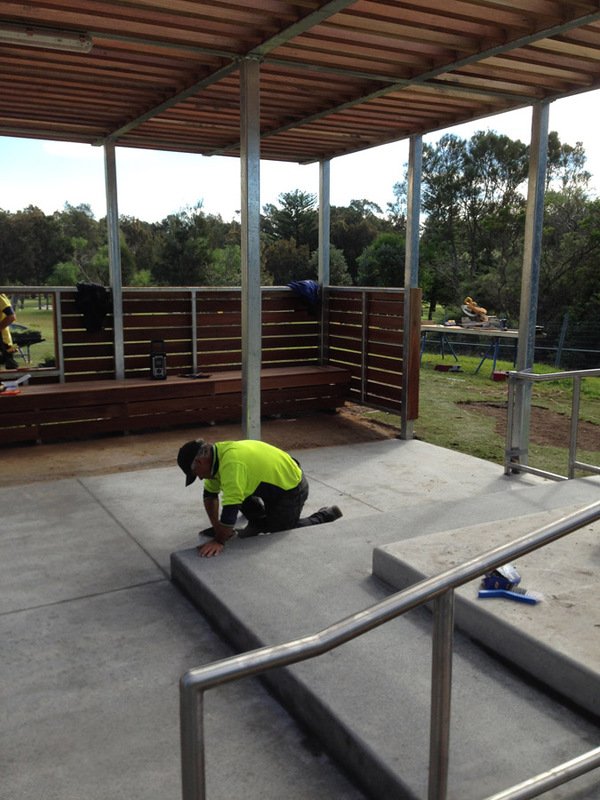 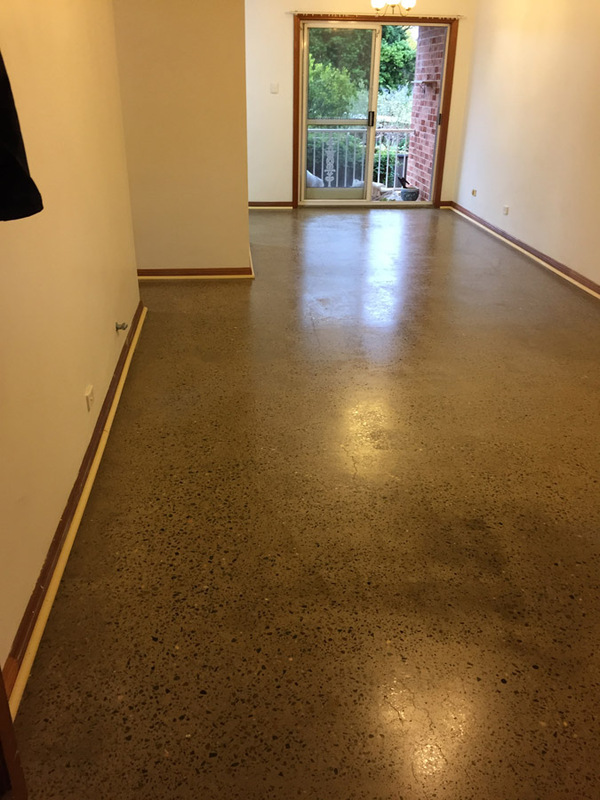 As well as being the highest quality and most affordable flooring specialists in Sydney, we are also the most versatile. 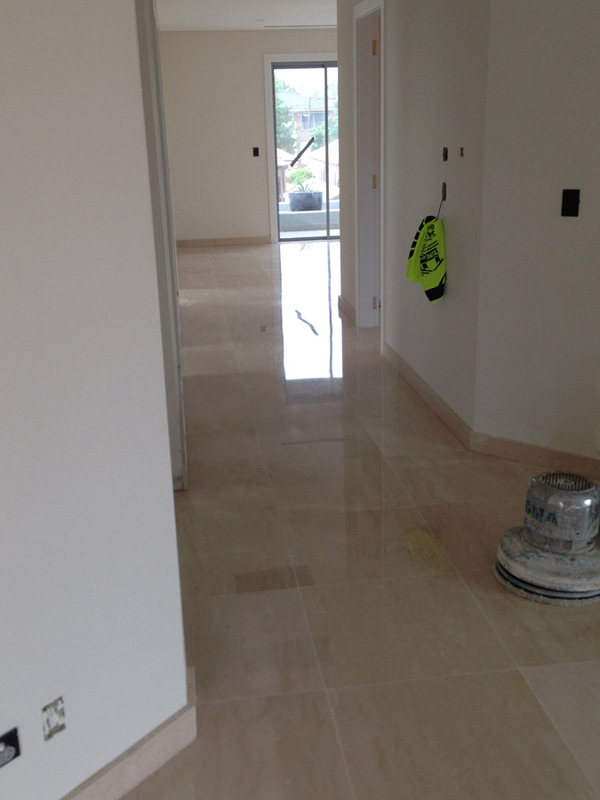 From small scale Travertine polishing to full scale Marble floor restorations, we know how to polish concrete and other stone surfaces in such a way that keeps any disruption to your home or business to an absolute minimum. 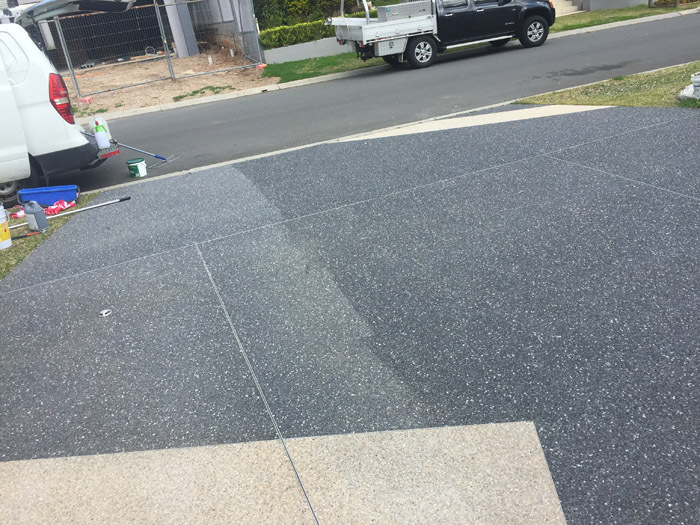 This is why we are trusted by hundreds of homeowners and businesses all across the greater Sydney Metro area. 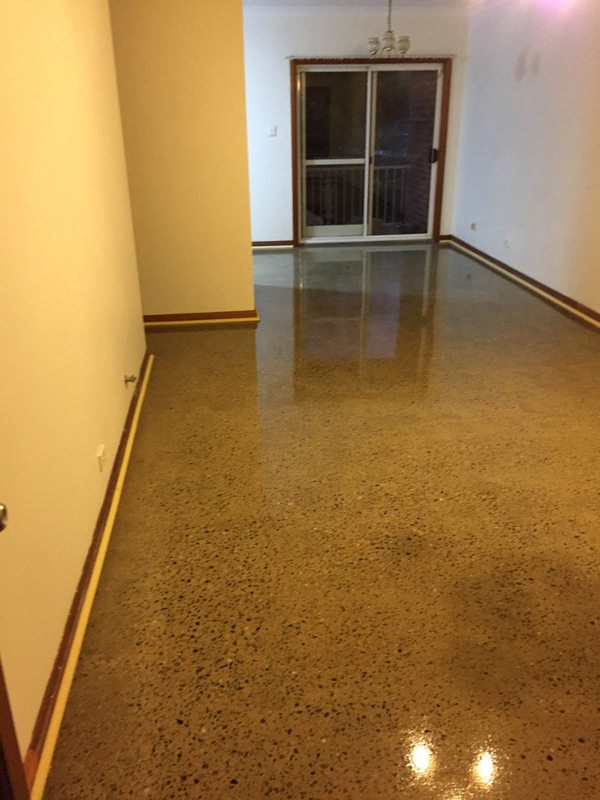 Are you looking for a professional and reputable Sydney based service? 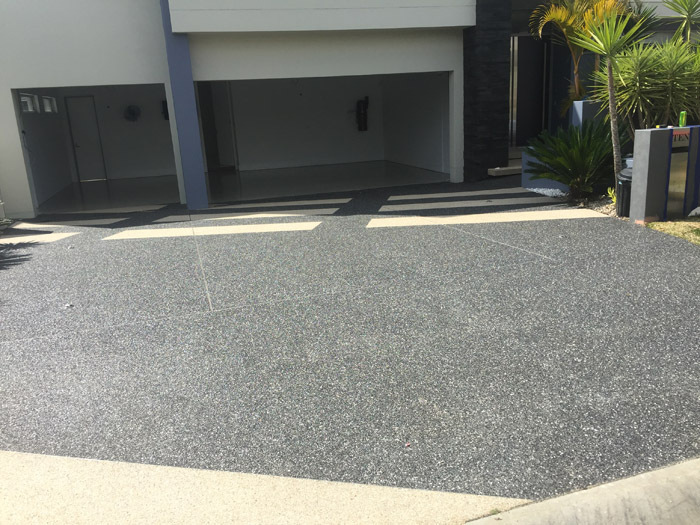 If so, make sure to reach out to us today and let’s start discussing your specific requirements in a little more detail, Call us now on 0414 577 117 or 0418 114 644. 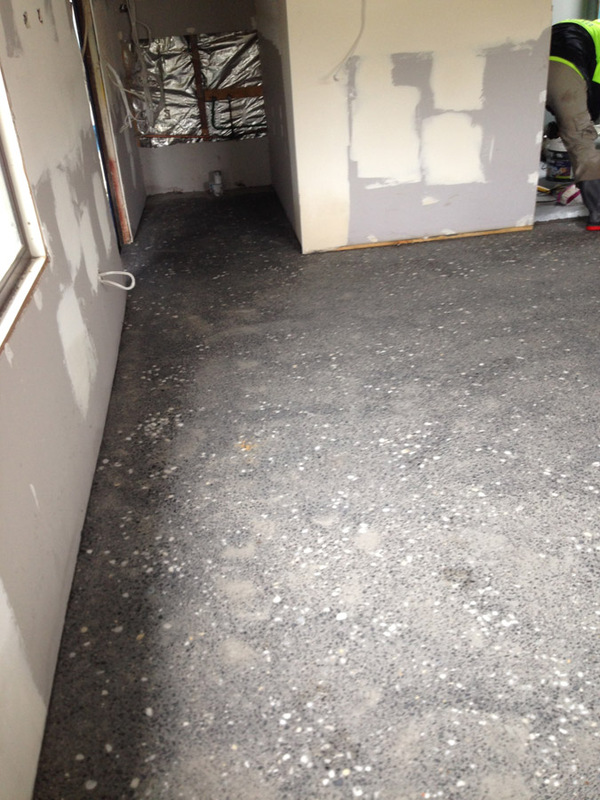 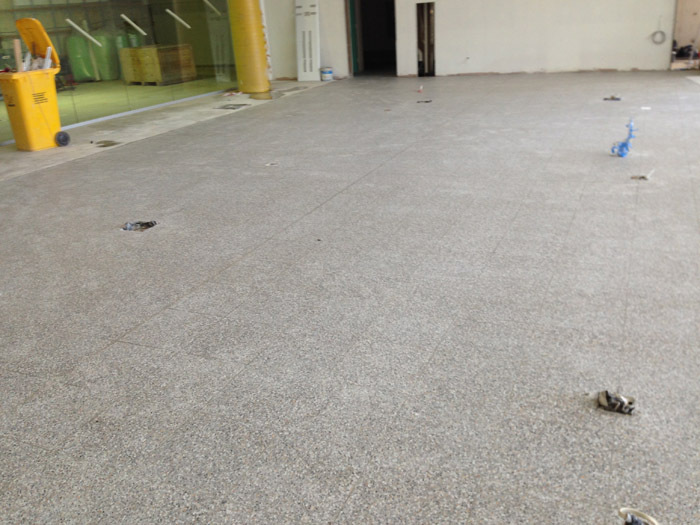 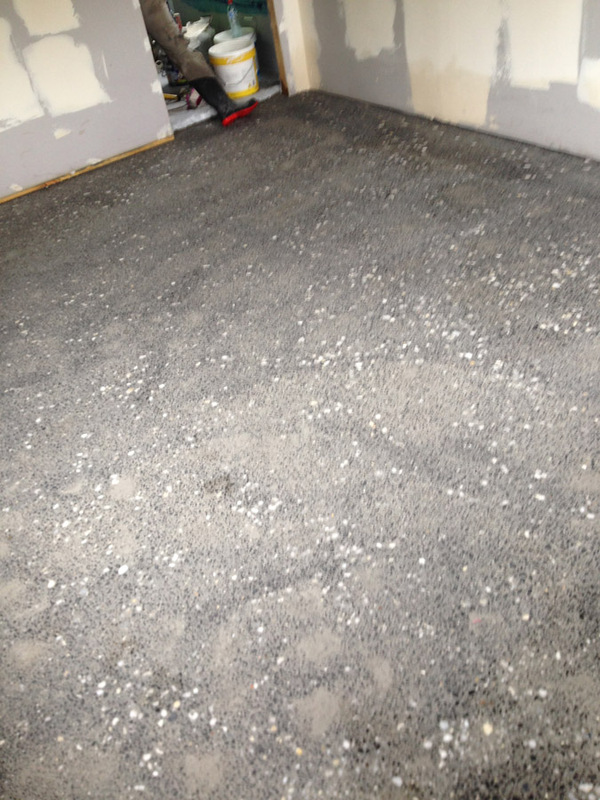 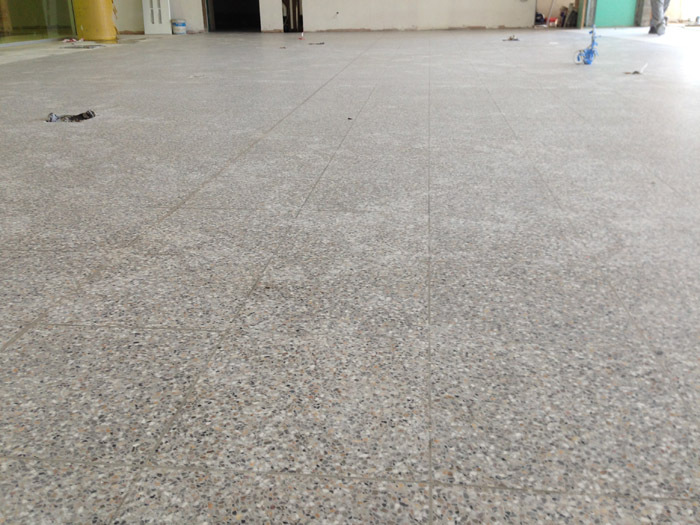 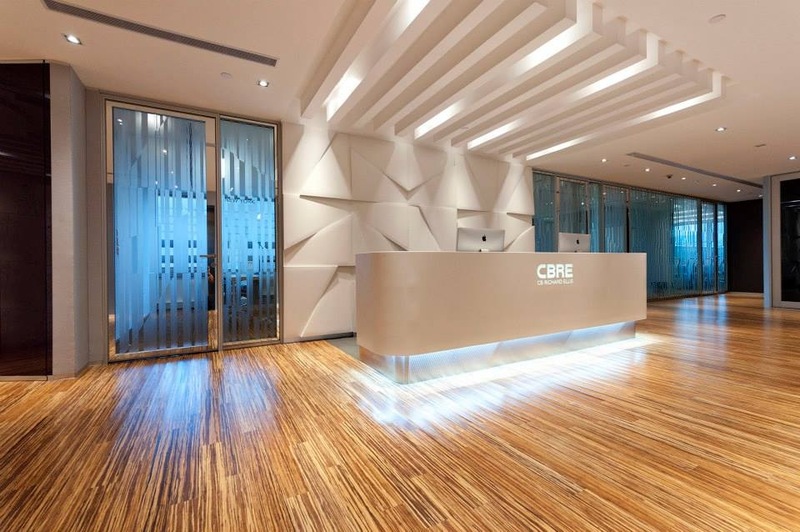 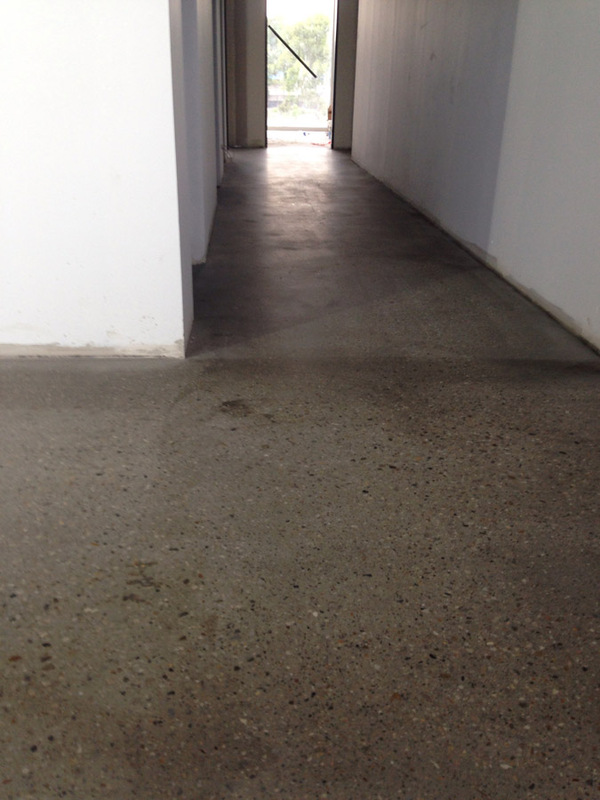 In high traffic business premises especially, concrete floors can dull over time. 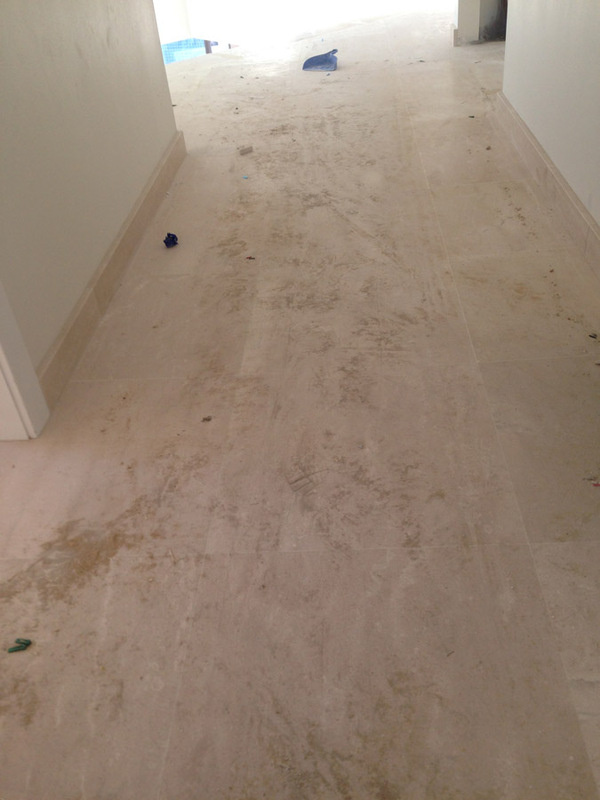 Worse, a dull floor often gives the appearance of a dirty floor. 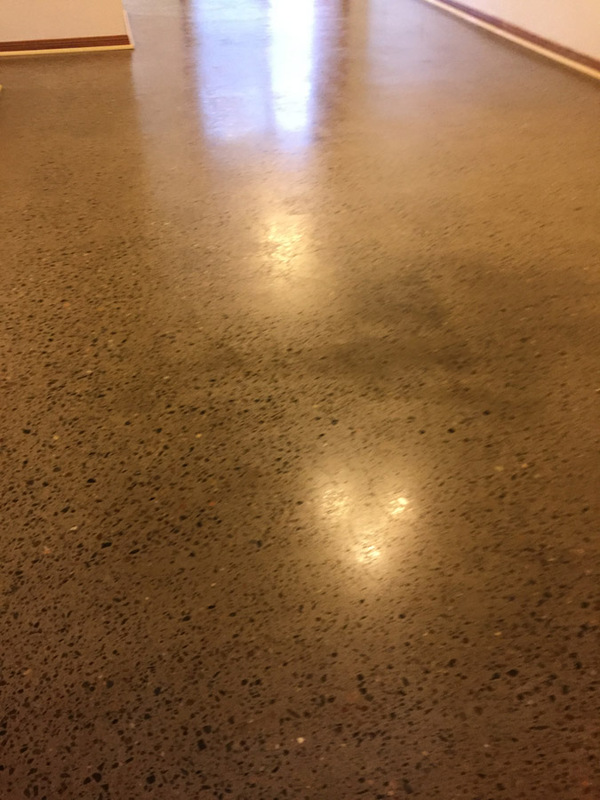 This being the case, our floor sanding and polishing services are targeted at helping you keep your business presented as immaculately as possible. 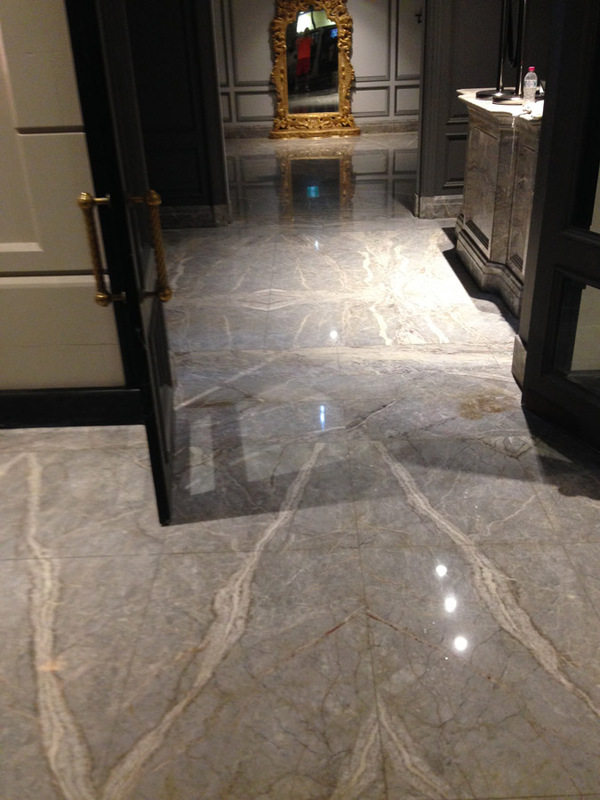 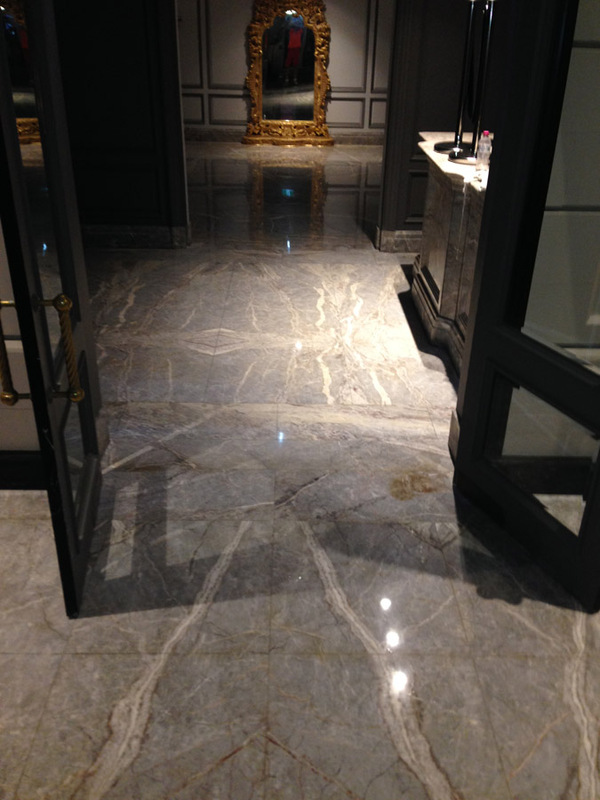 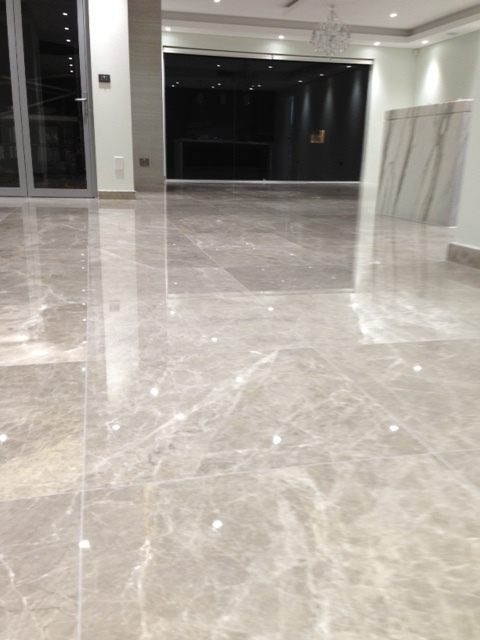 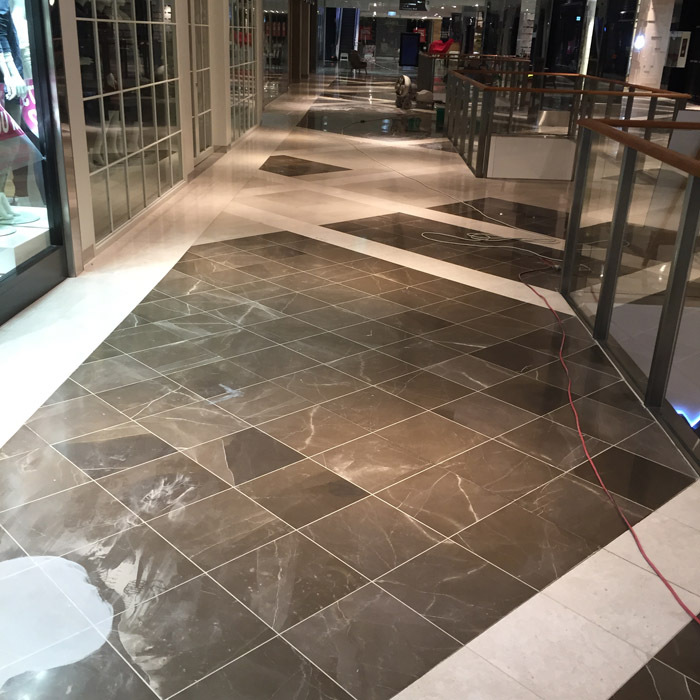 As natural stone and burnished concrete specialists, we use state of the art equipment to add new luster and vitality to floors and surfaces in and around your property. 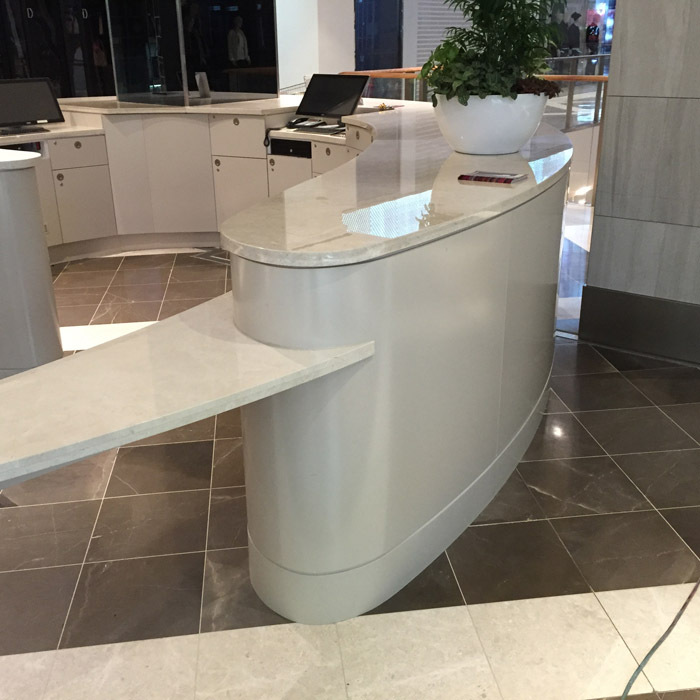 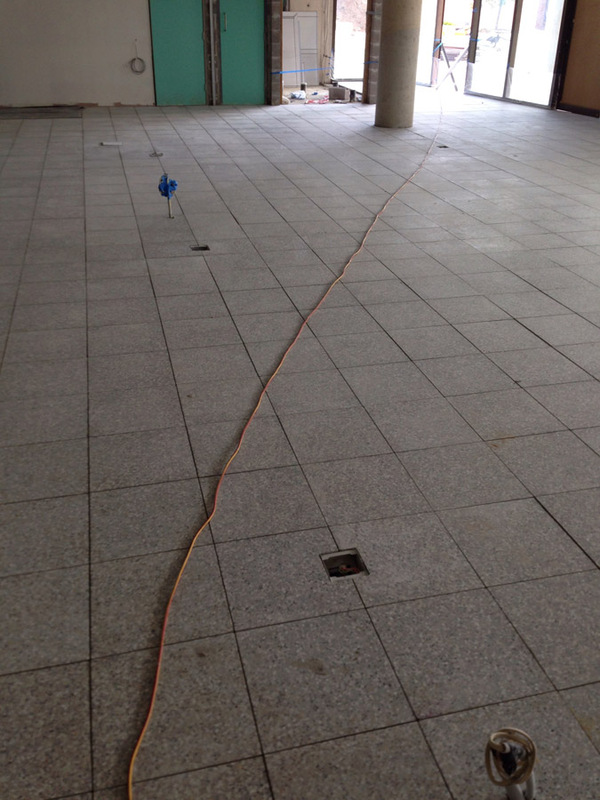 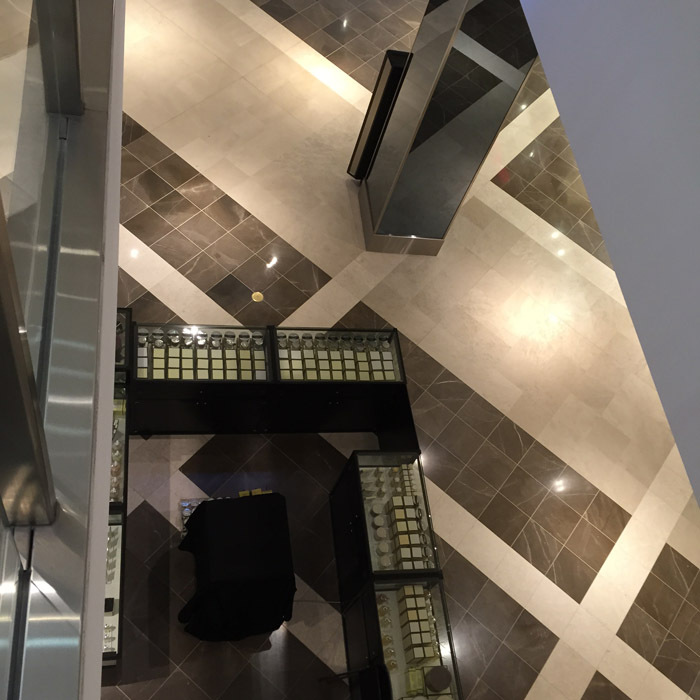 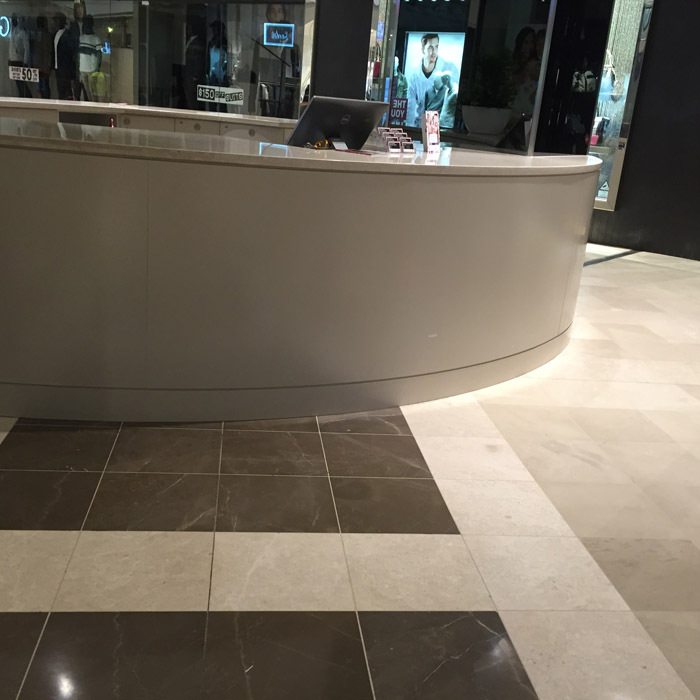 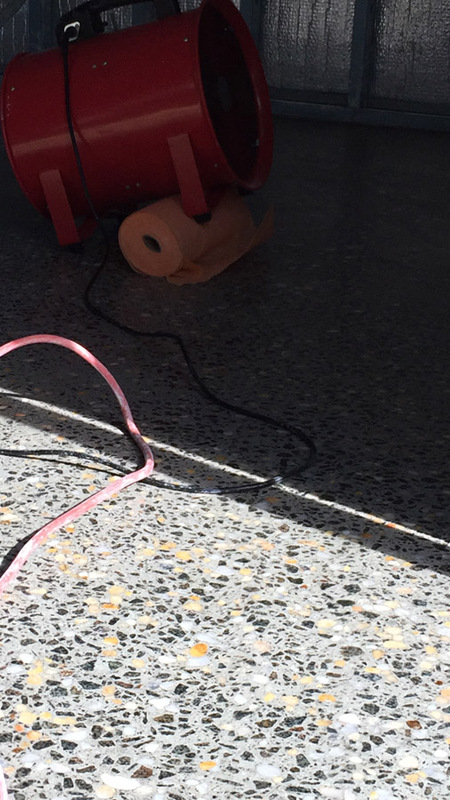 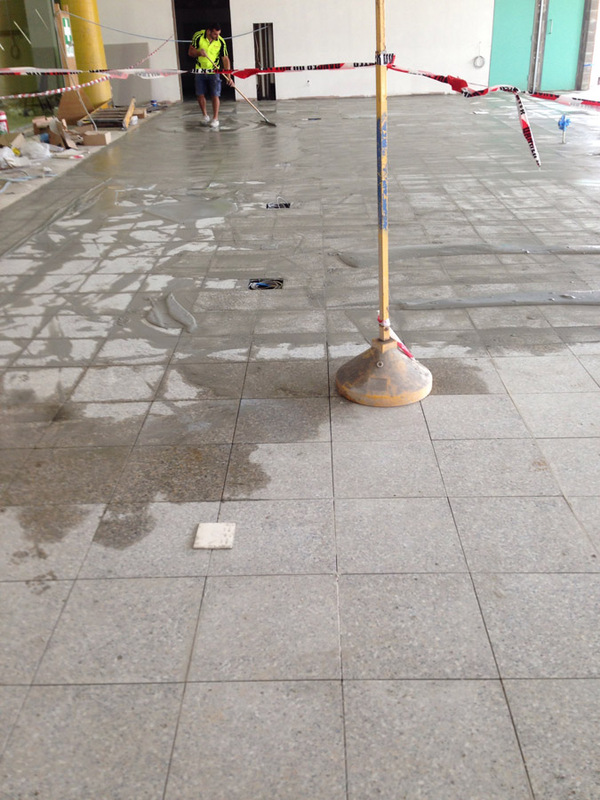 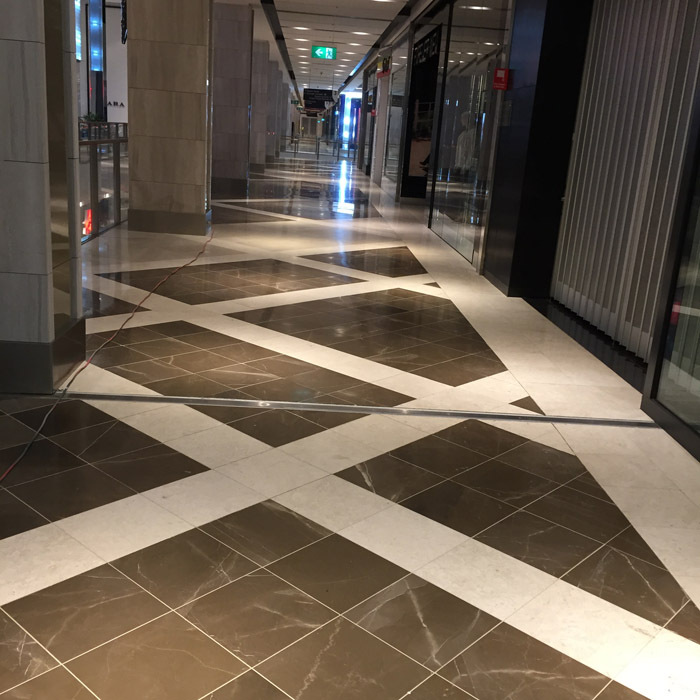 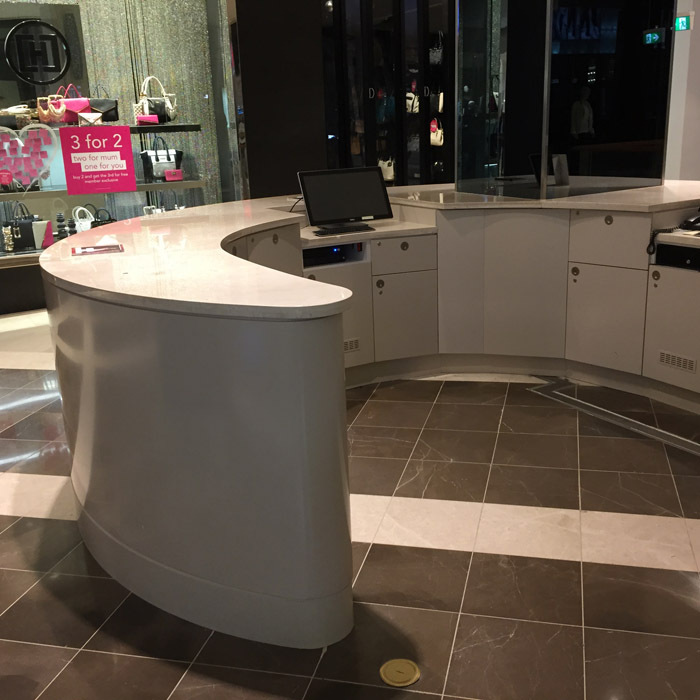 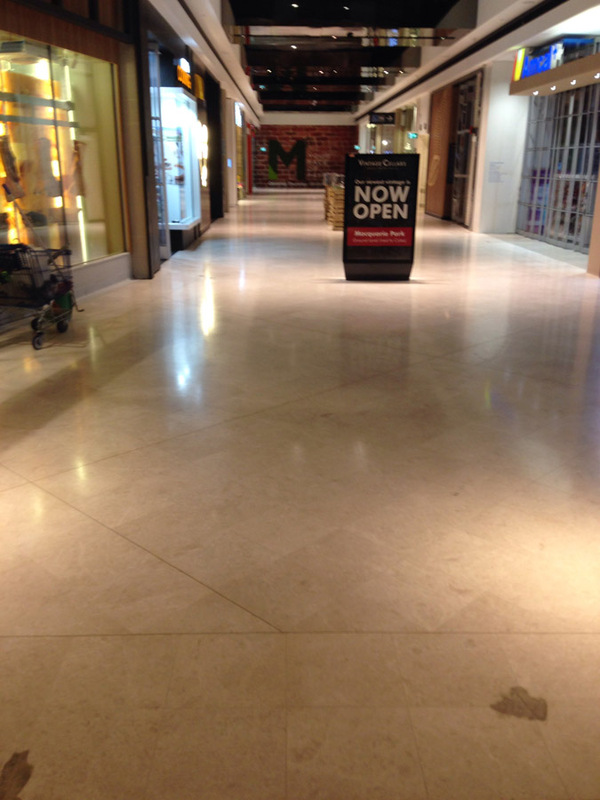 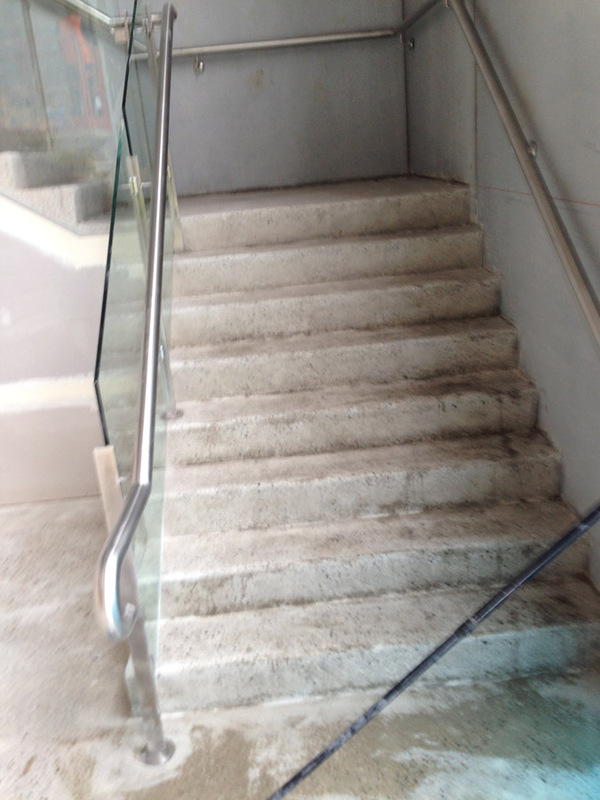 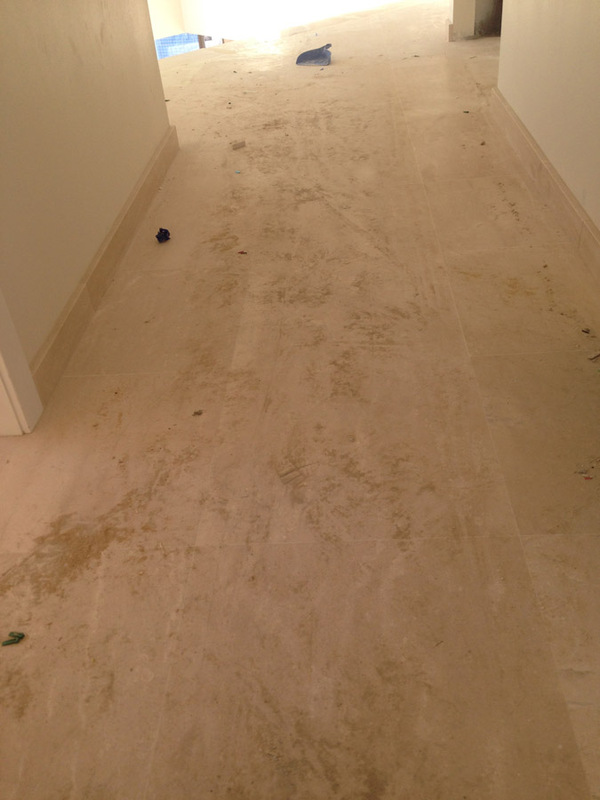 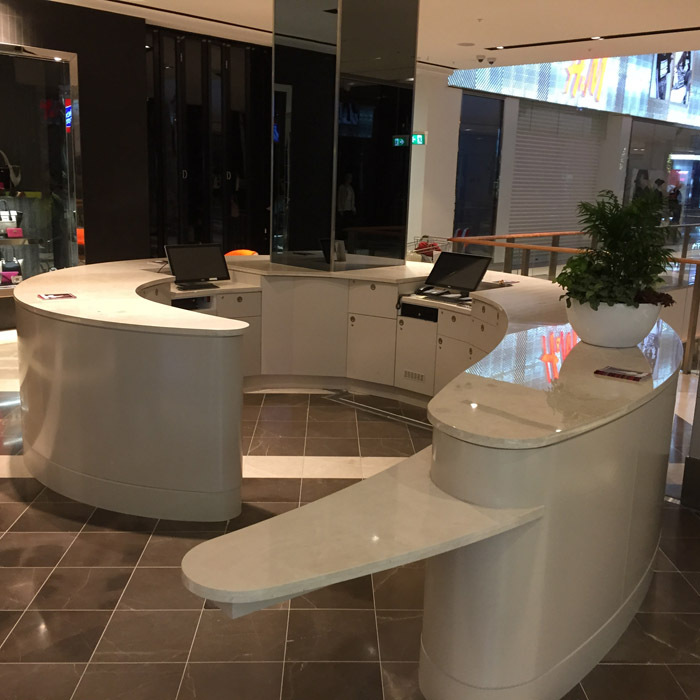 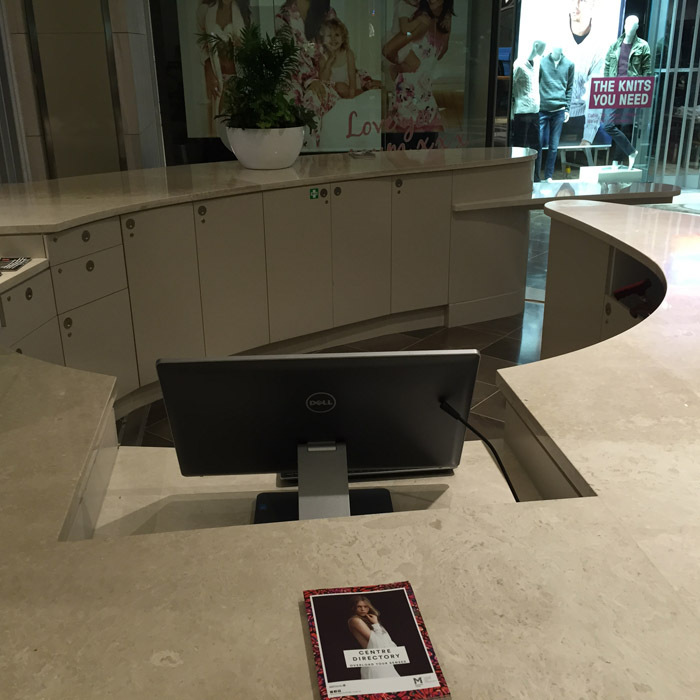 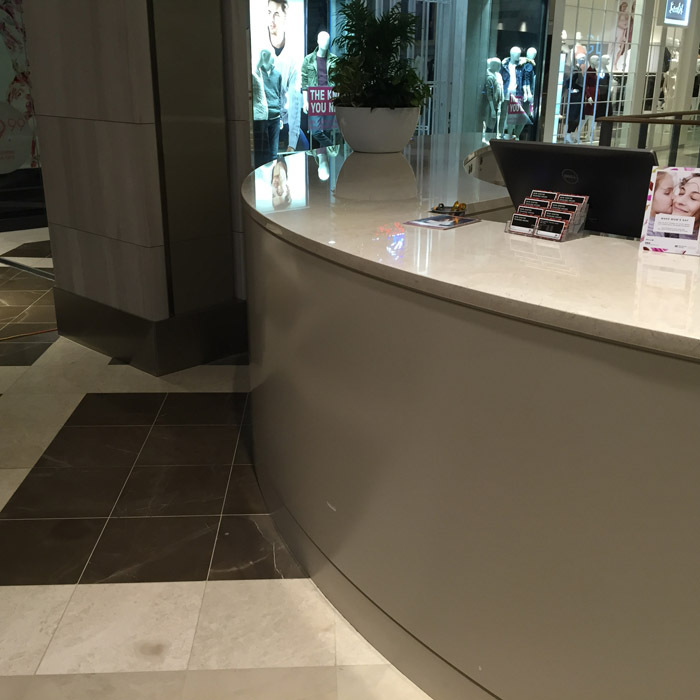 This is why we are trusted to help maintain the concrete and natural stone floors of hundreds of Sydney businesses all around the greater Sydney Metro area. 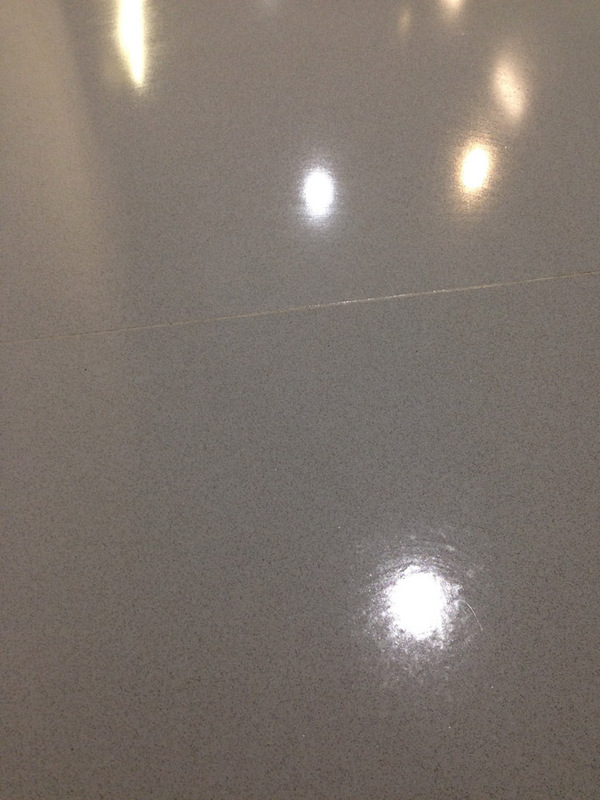 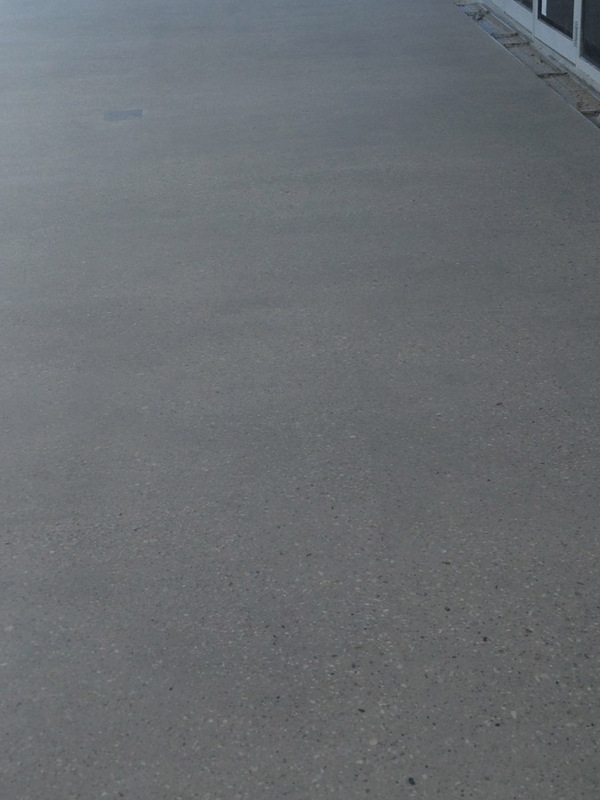 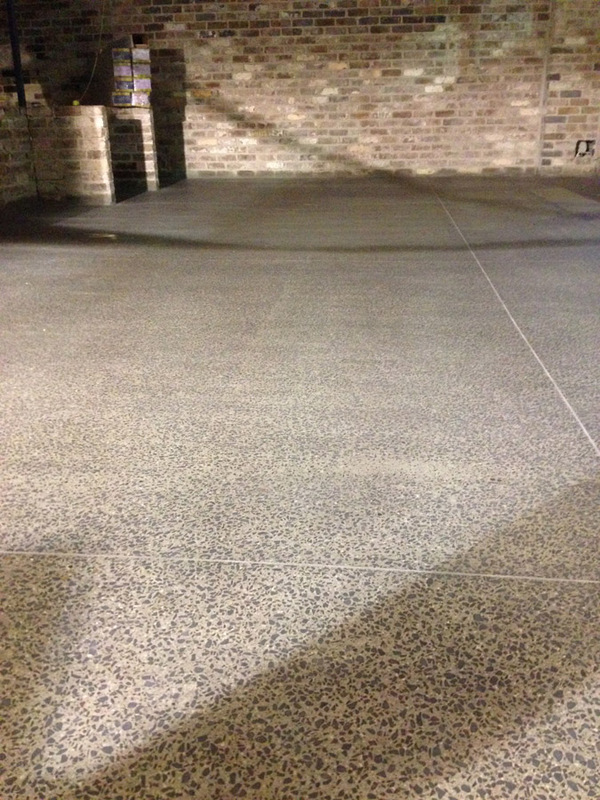 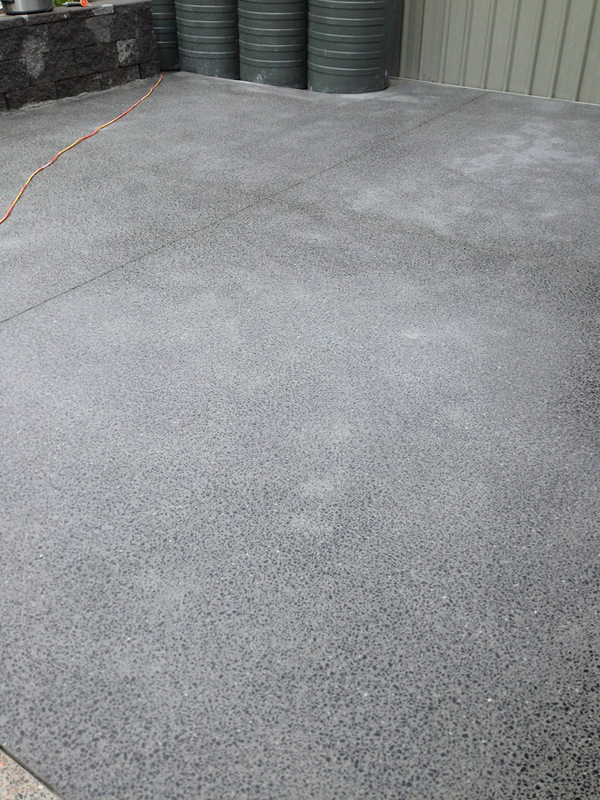 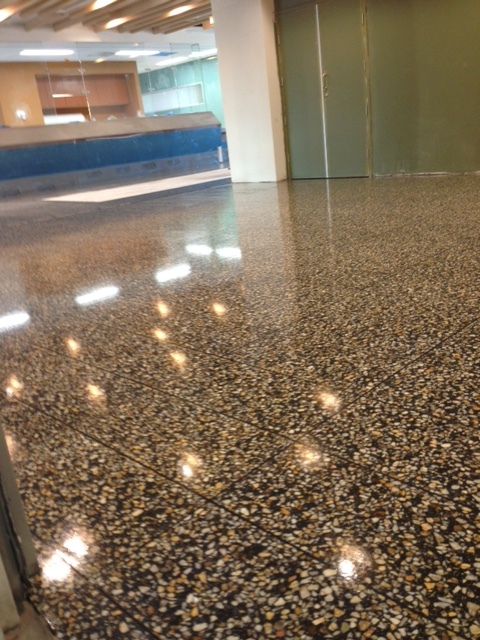 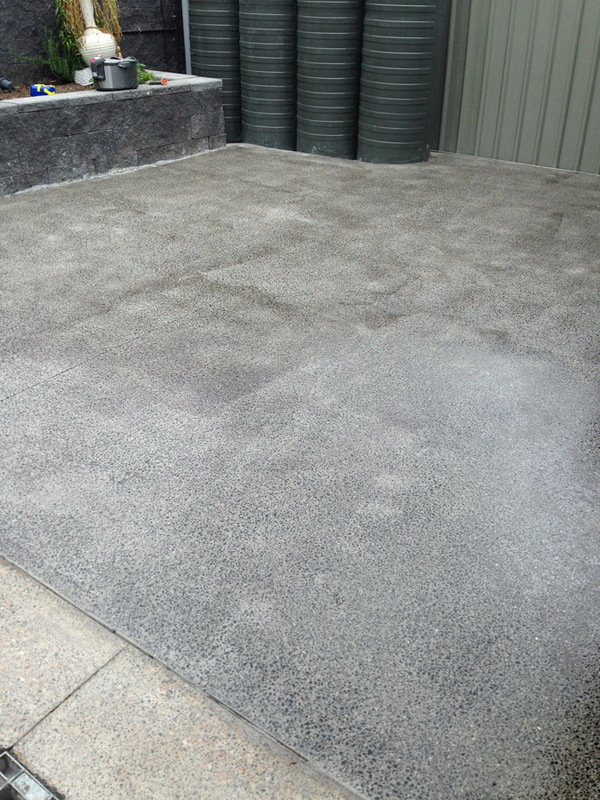 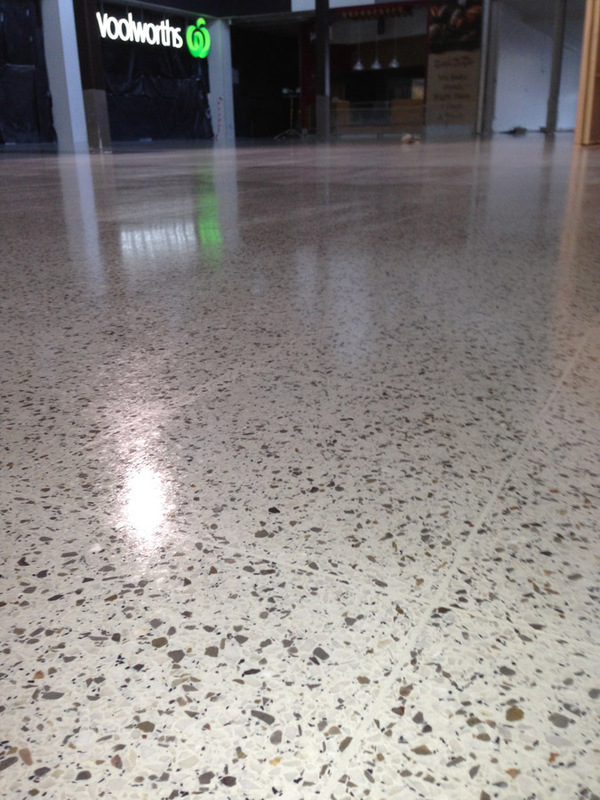 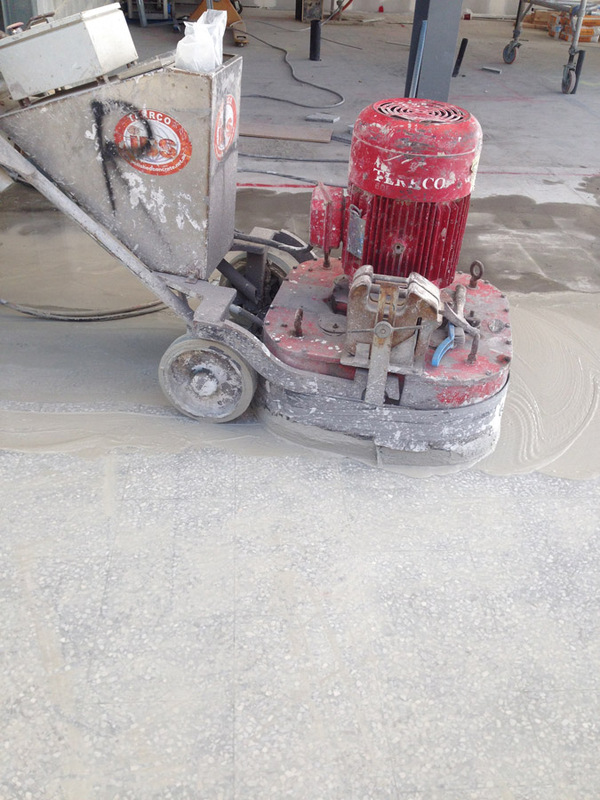 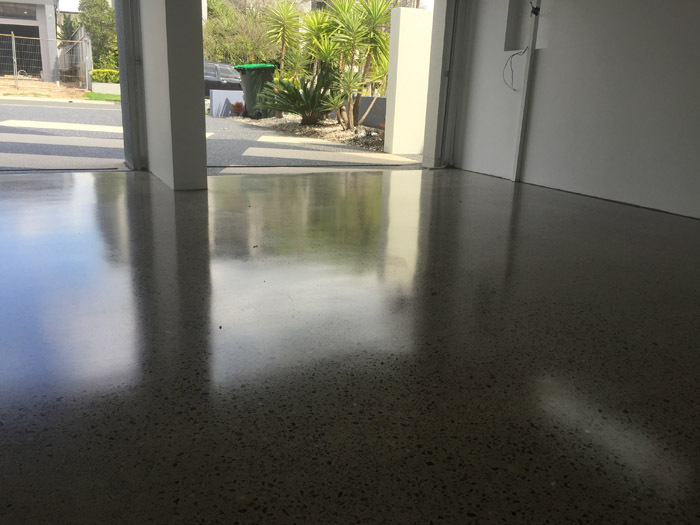 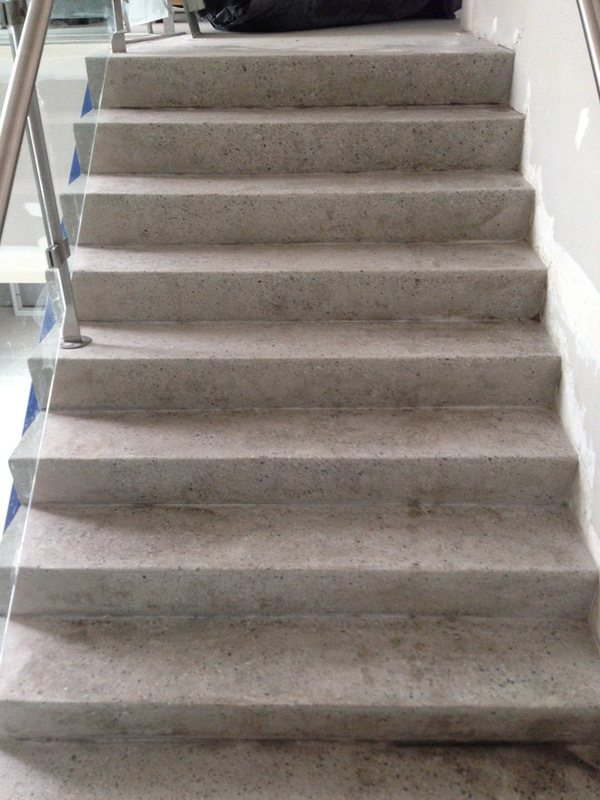 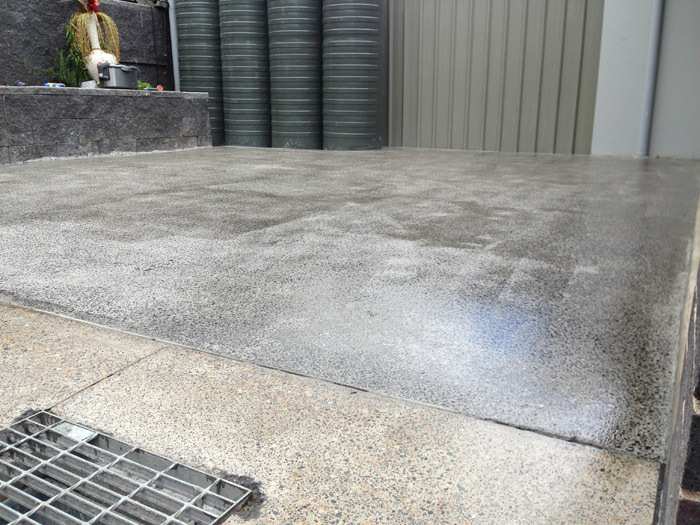 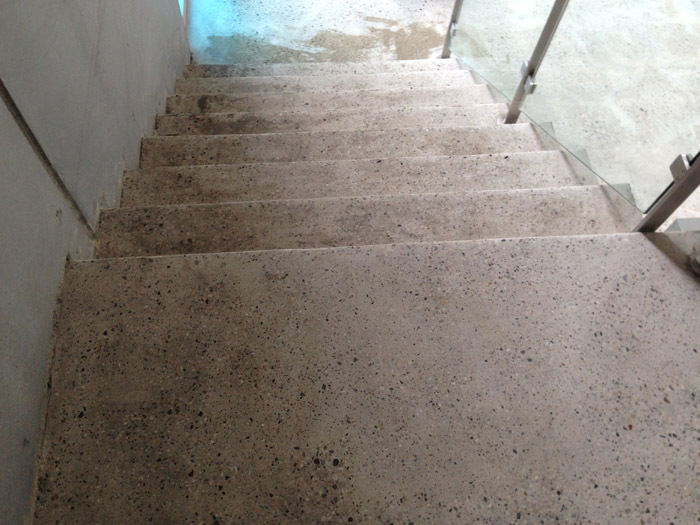 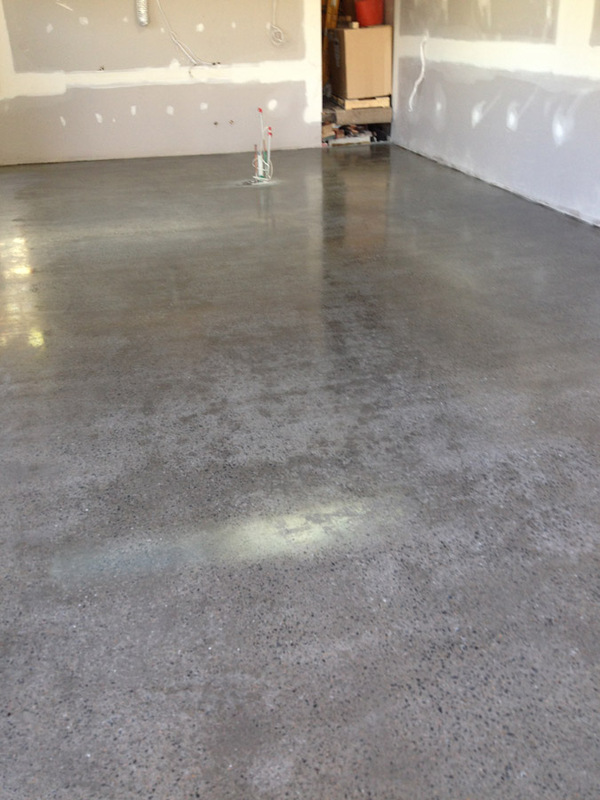 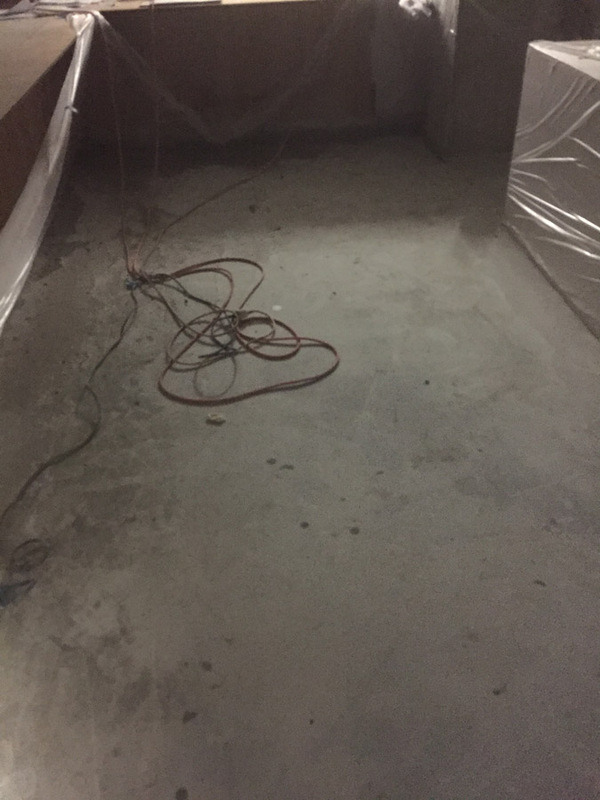 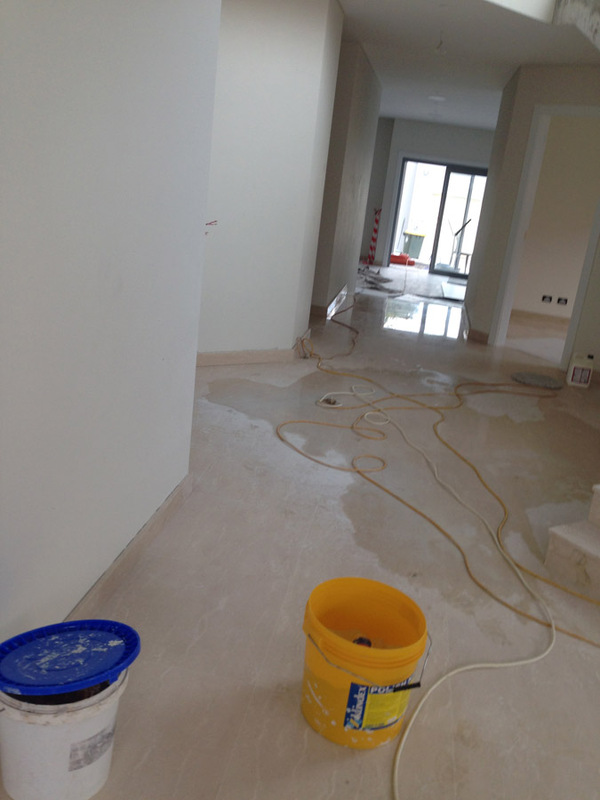 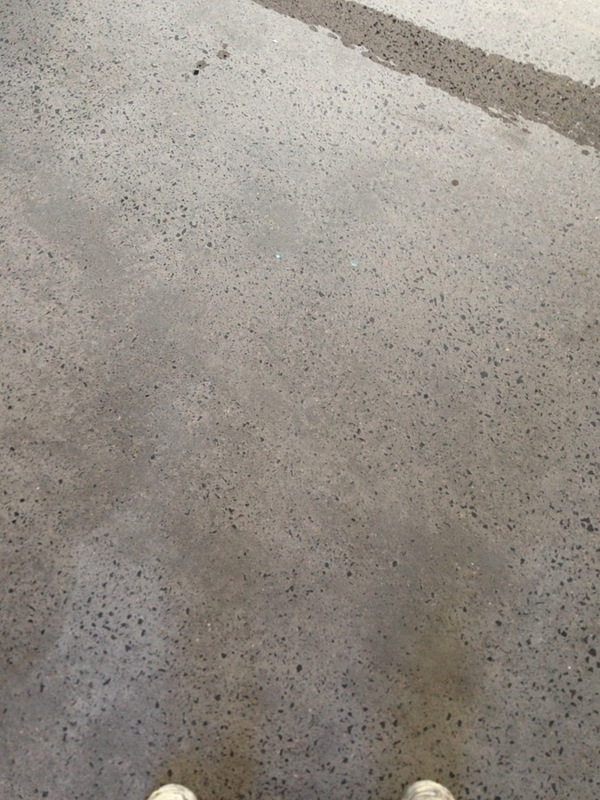 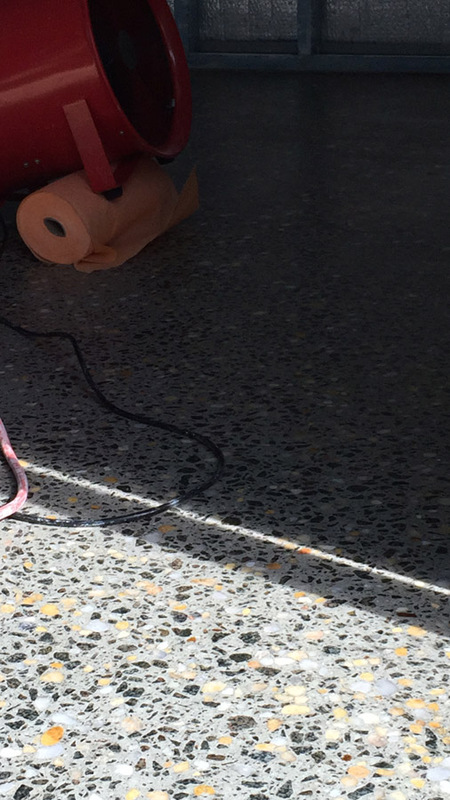 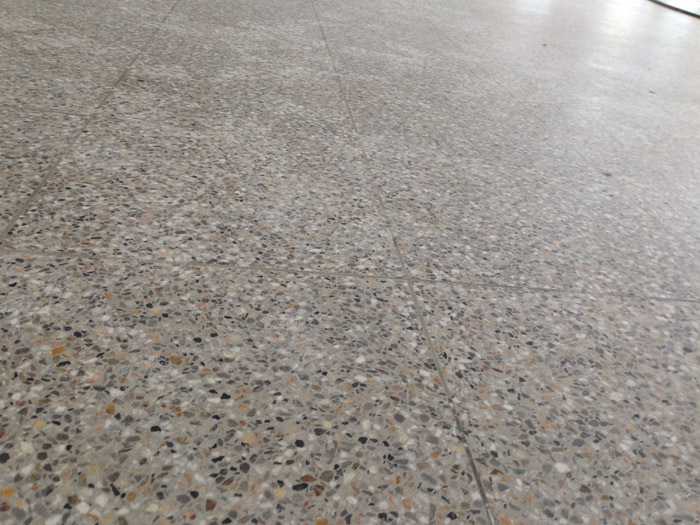 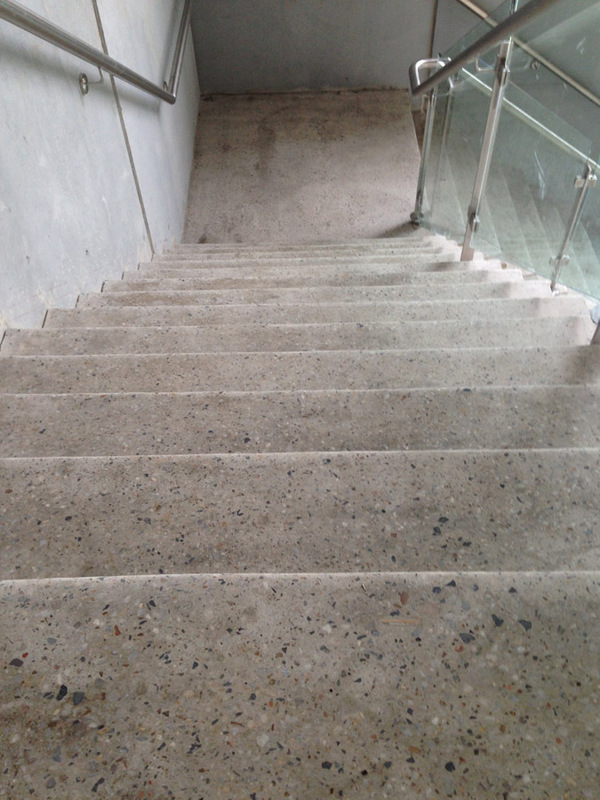 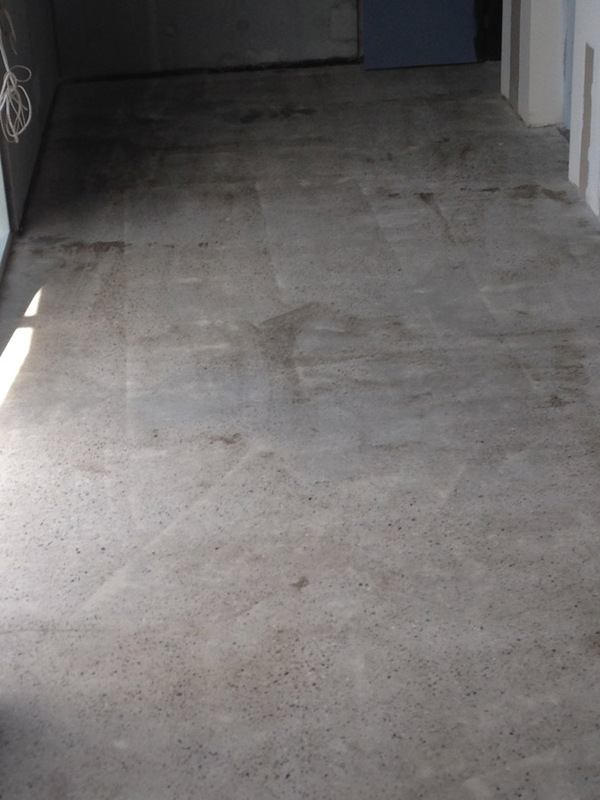 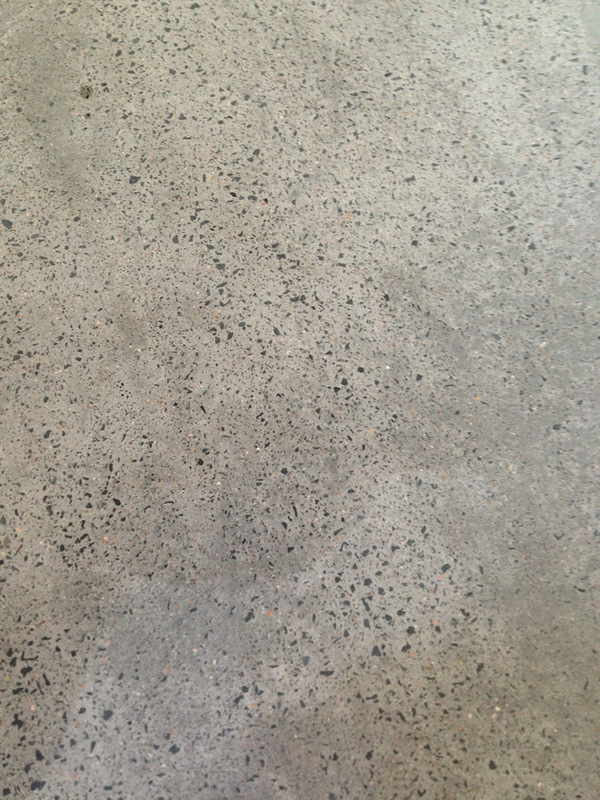 While we might be many people’s one stop shop for polished concrete in Sydney, we are also able to provide floor sanding and polishing services suitable for a variety of different floor types. 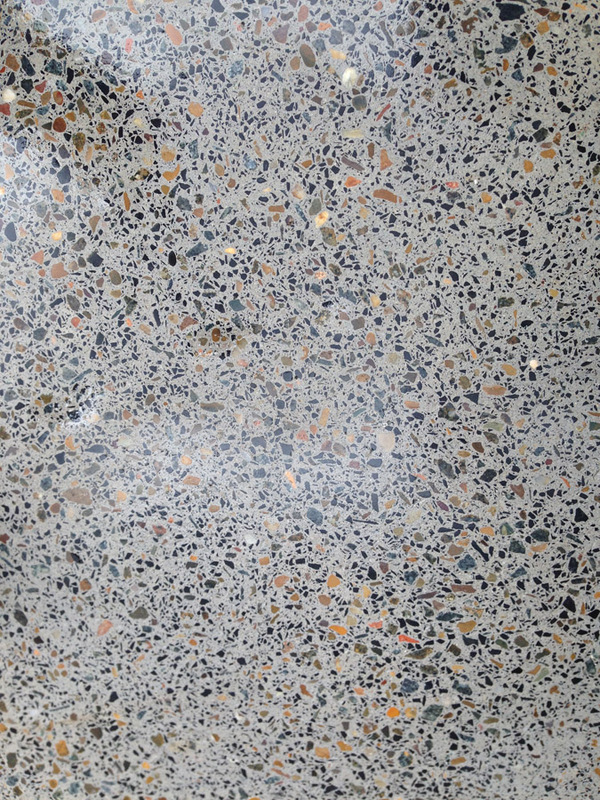 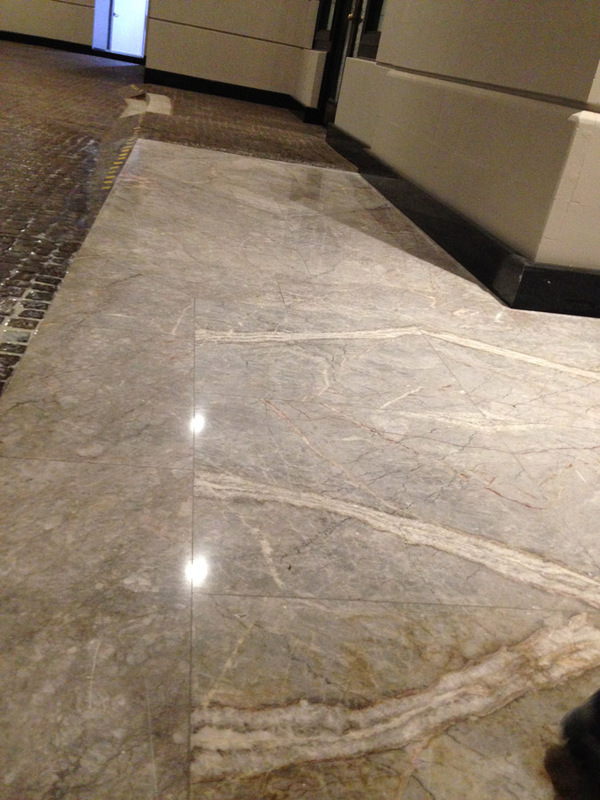 Is your property complemented by beautiful Terrazzo or Marble floors? 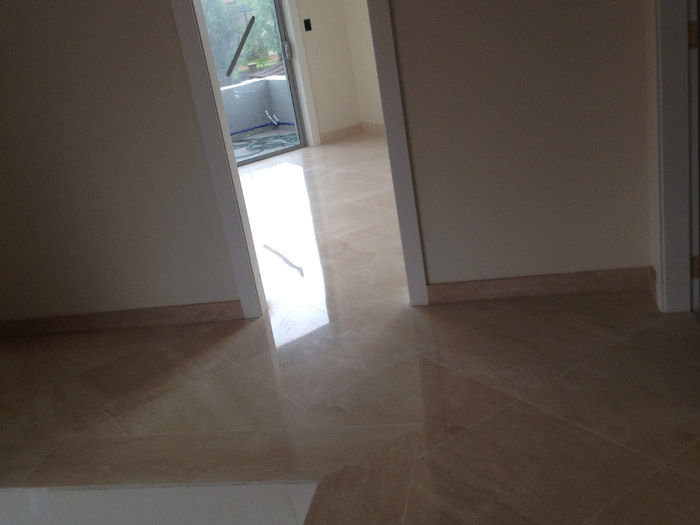 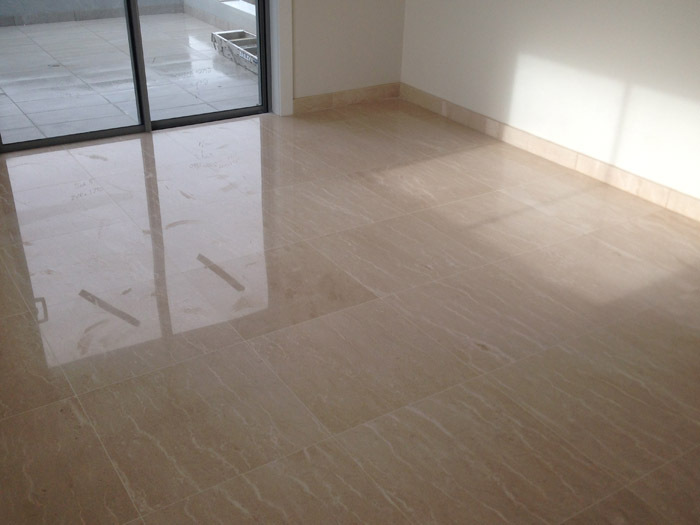 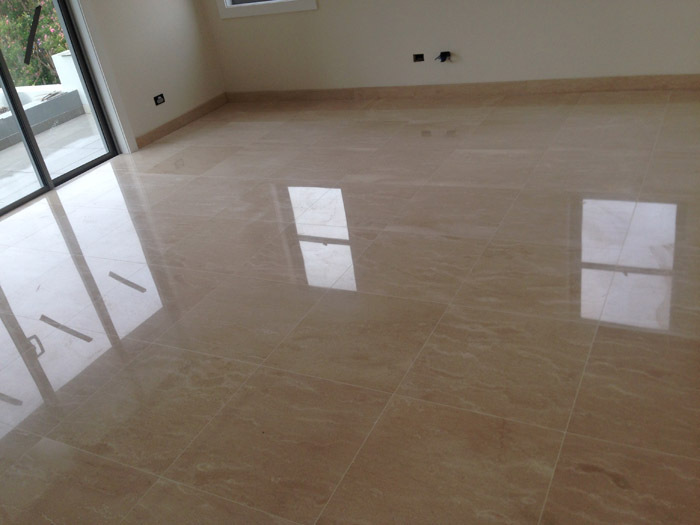 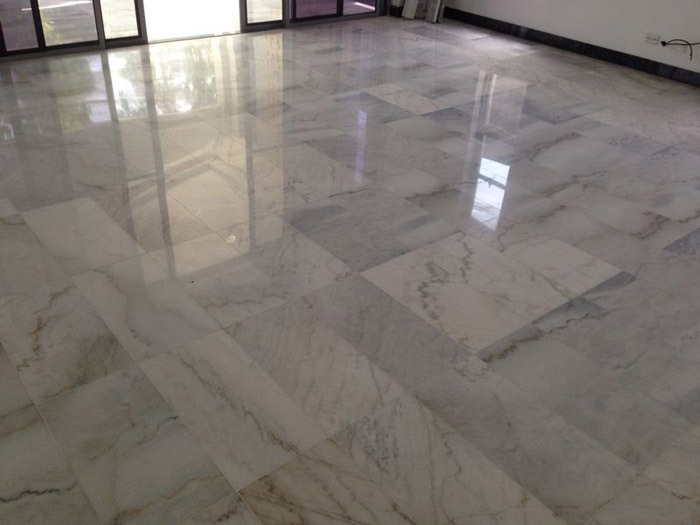 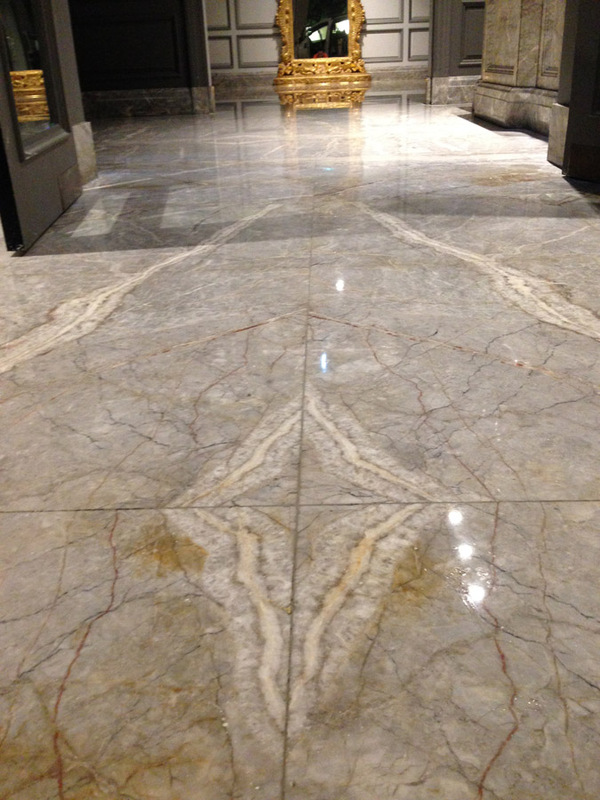 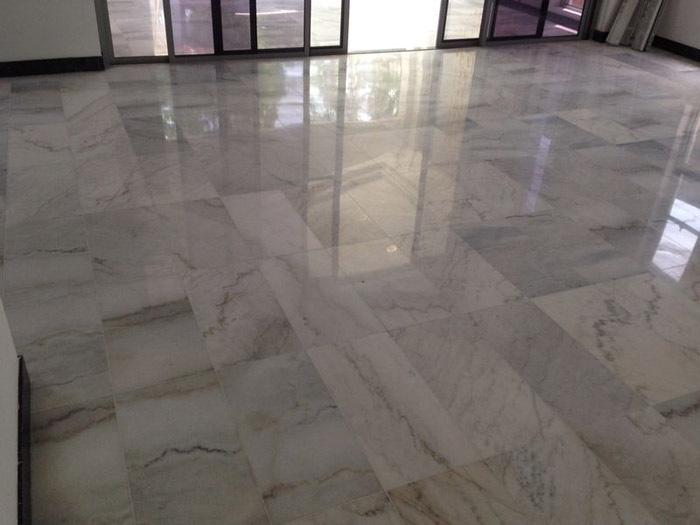 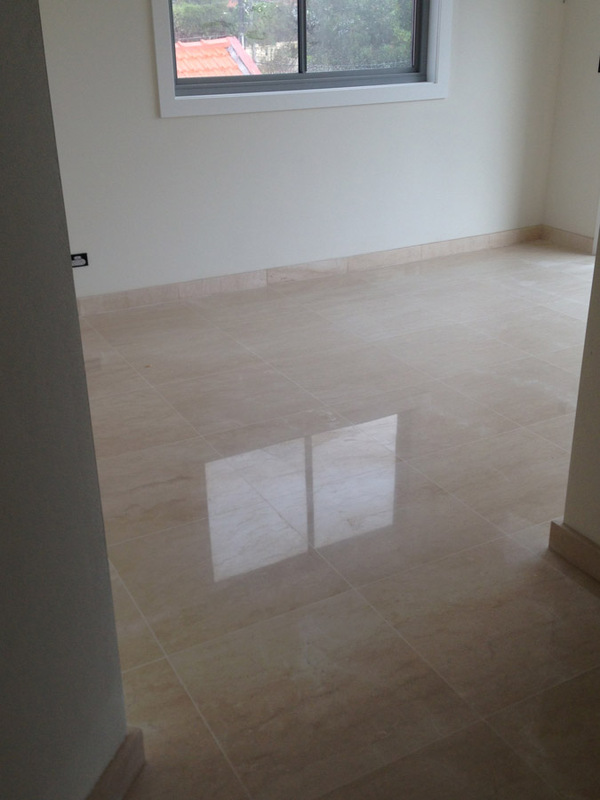 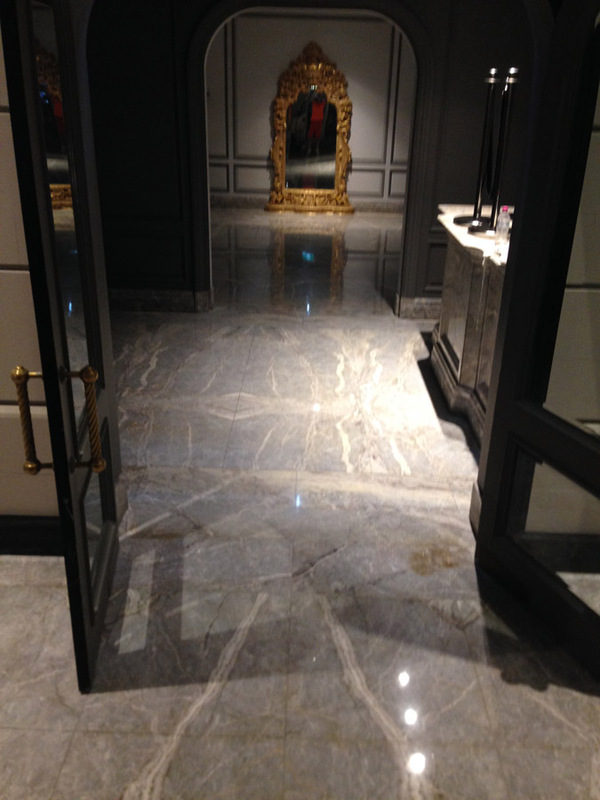 If so, you can rest assured that as well as knowing how to polish marble to the highest standard, we are also proficient in polishing Sandstone, Travertine, and Limestone flooring. 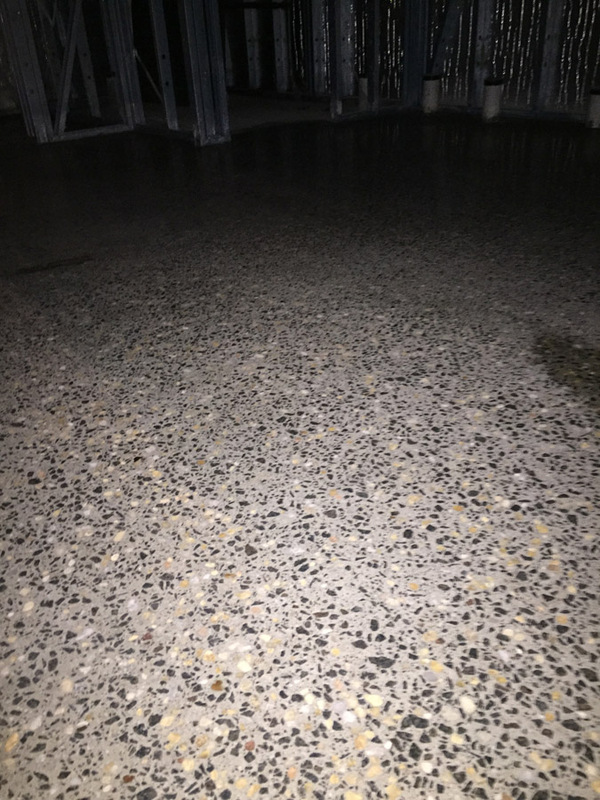 Even better, as well as removing all marks and stains, we will leave your floors both slip resistant and looking as good as they did when first laid. 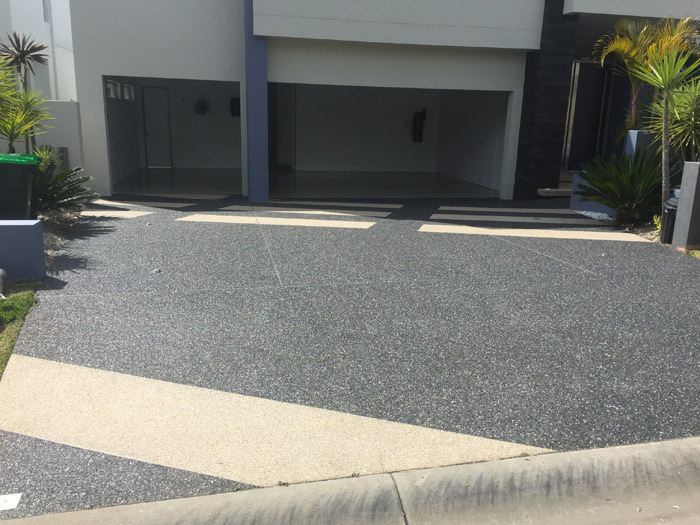 Of course, while your primary concern will likely always rest with the visual appeal of the floors inside your property, it’s no secret that concrete driveways, sidewalks and patios can also dull over time. 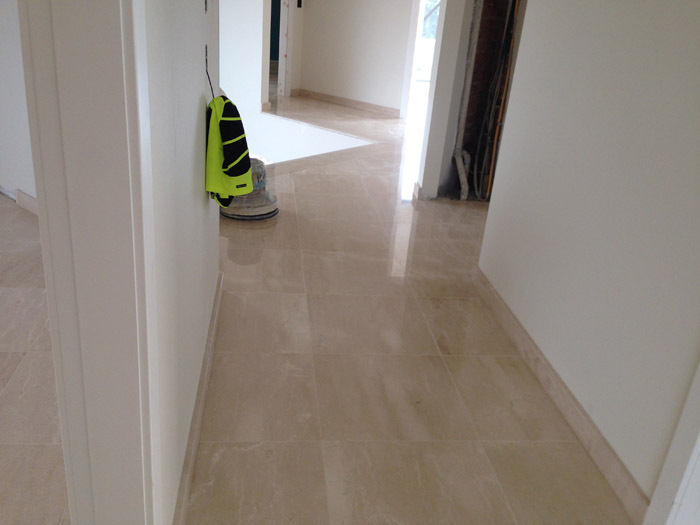 Thankfully, as well as interior floor sanding and polishing, we are also experts in grinding and polishing stone situated around properties. 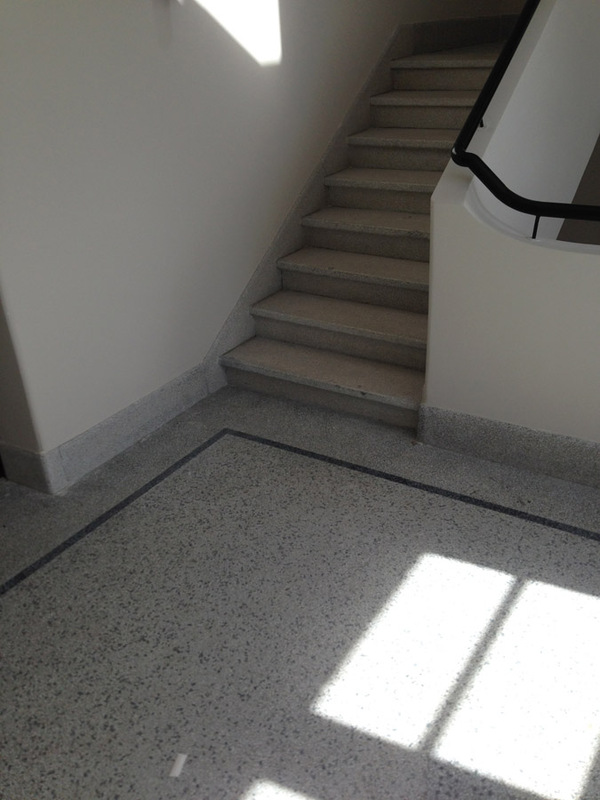 In doing so, we leave surfaces looking attractive, modern, and just as vibrant as the day they were first installed. 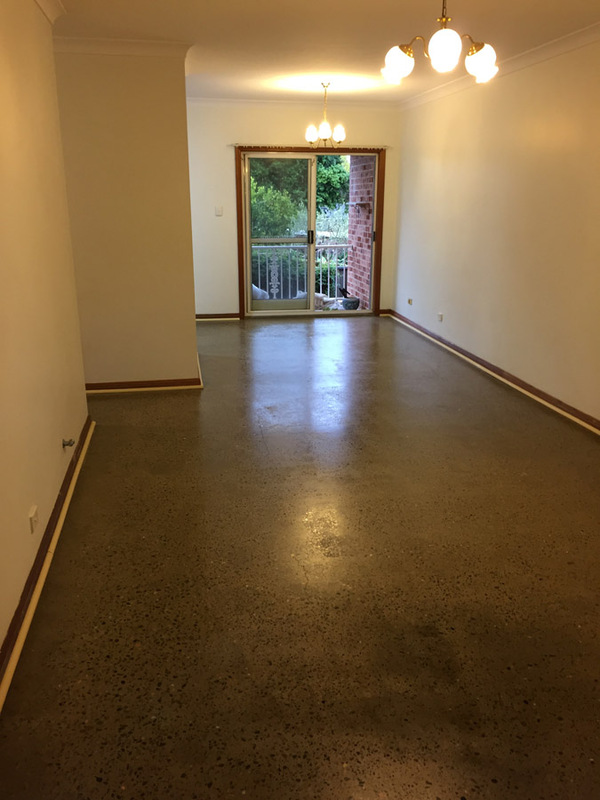 Whether you are a home or business owner, you will already know that when it comes to your property’s market value, image is everything. 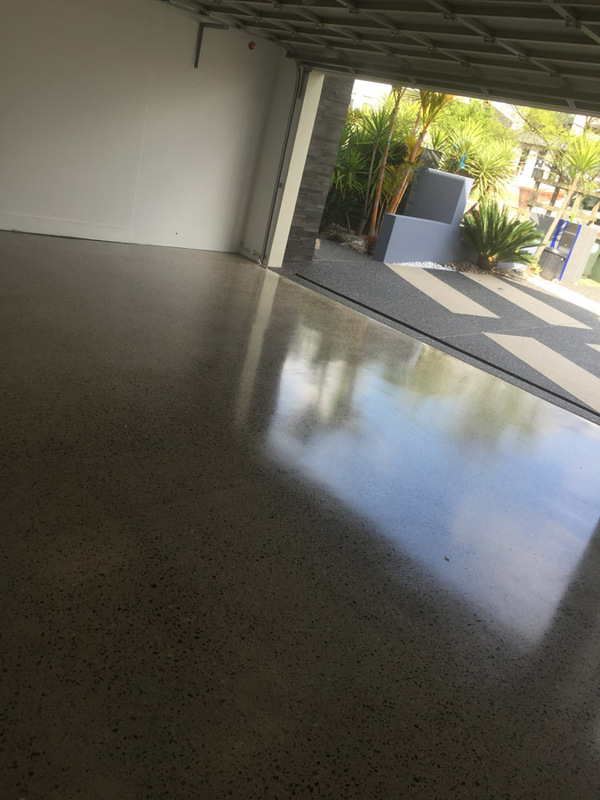 If you are about to sell your property, we can, therefore, help you add thousands of dollars in value, simply by restoring and resealing your interior and exterior floor surfaces. 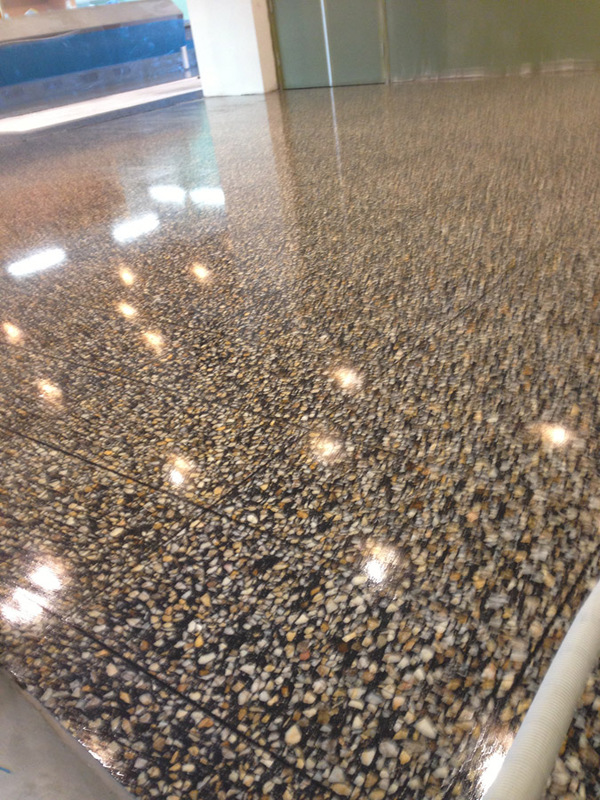 Attractive, updated in appearance floors denote high-quality. 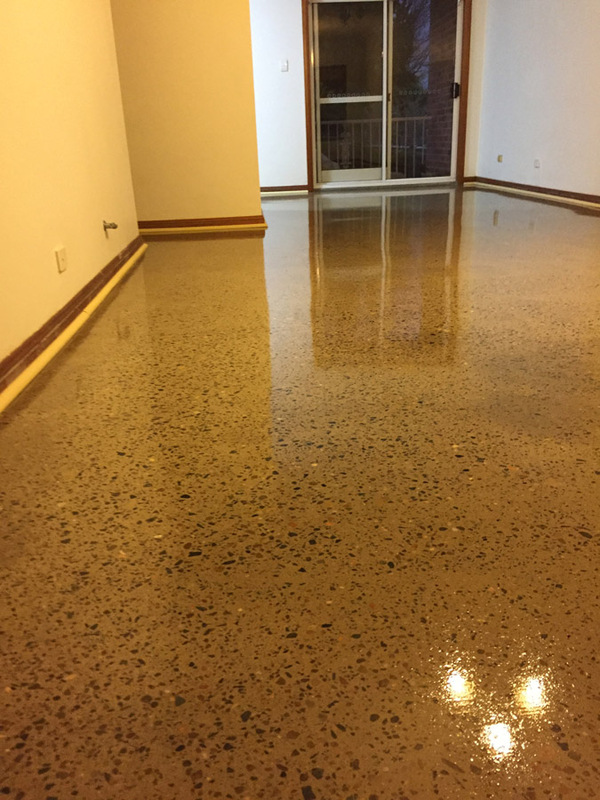 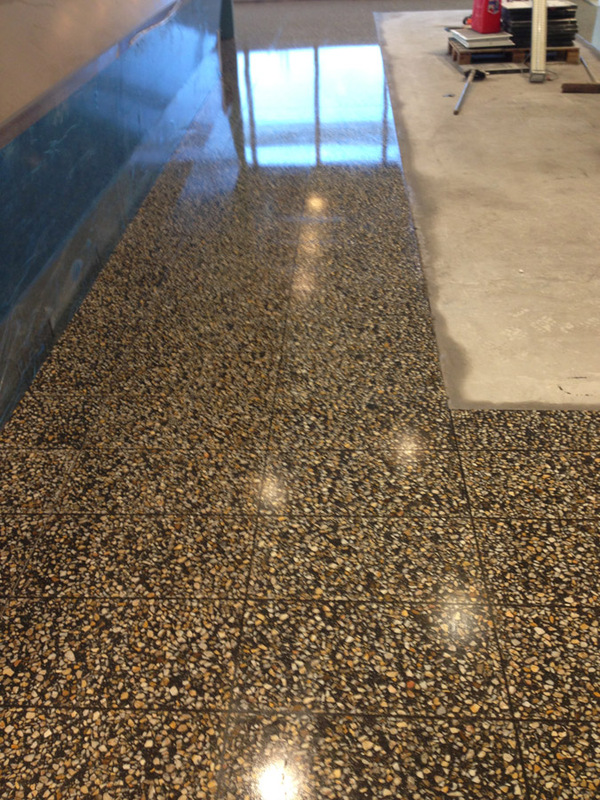 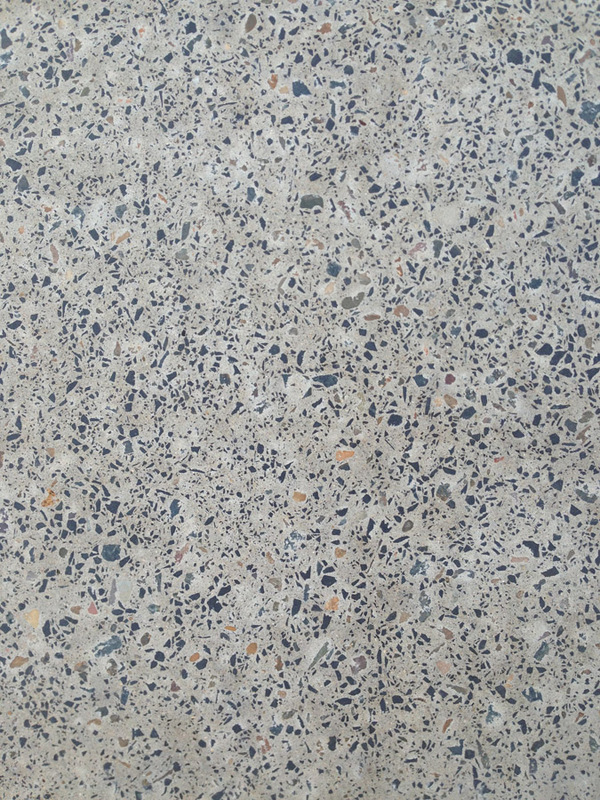 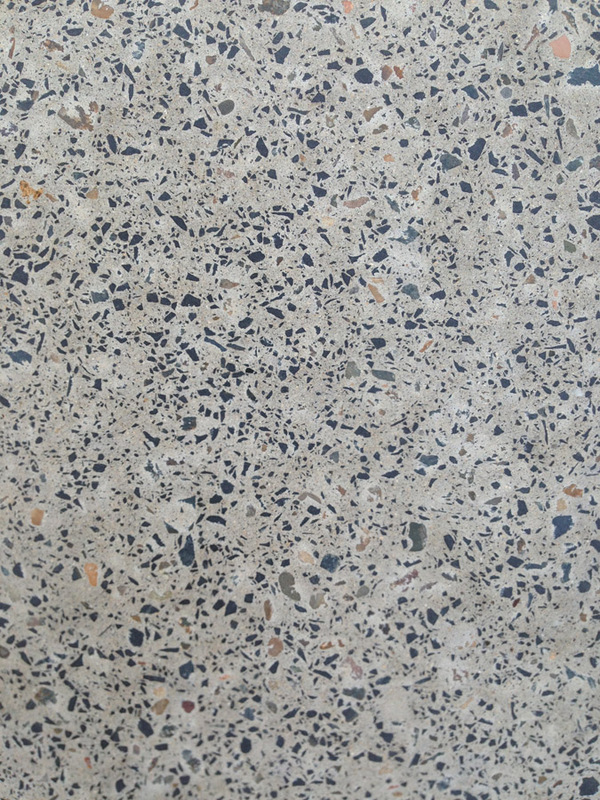 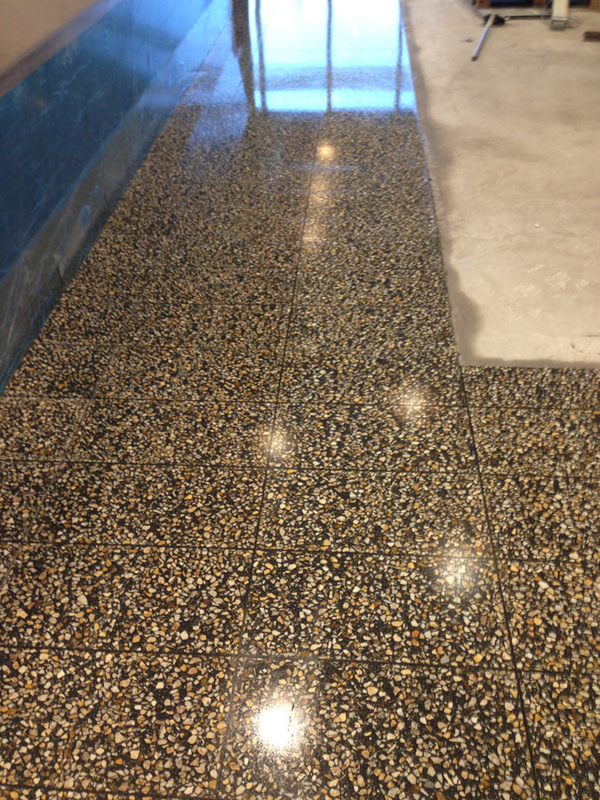 Coupled with our eye for detail, newly burnished concrete and sealed Terrazzo floors, will, in this case, help increase your property’s resale value and reduce the amount of time it spends on the market in the first place.